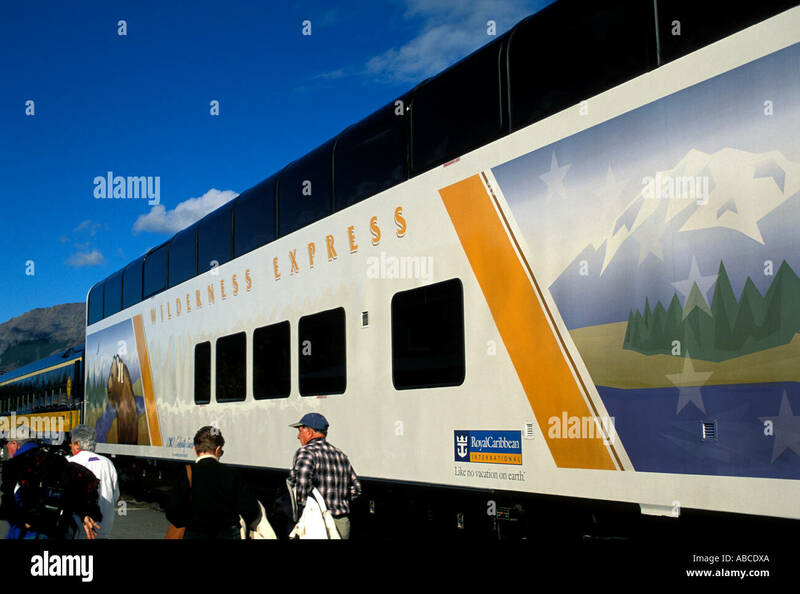 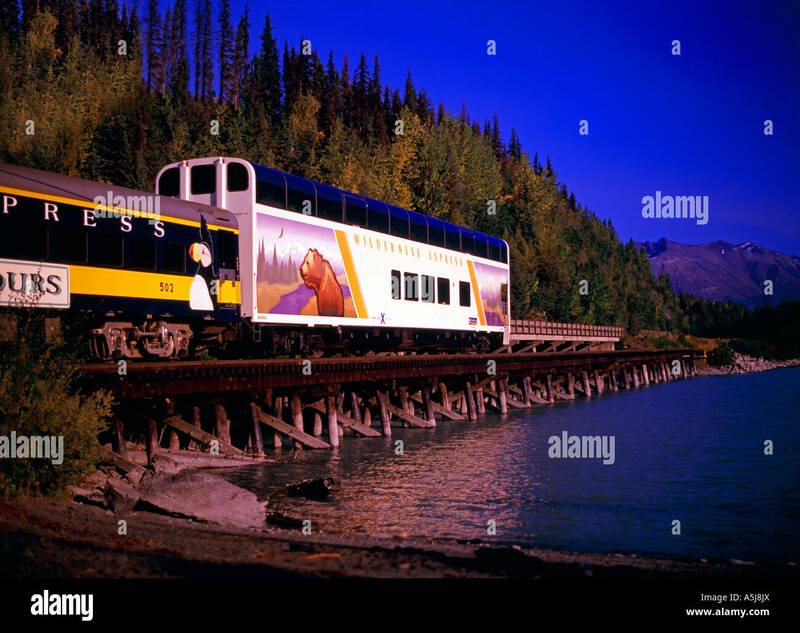 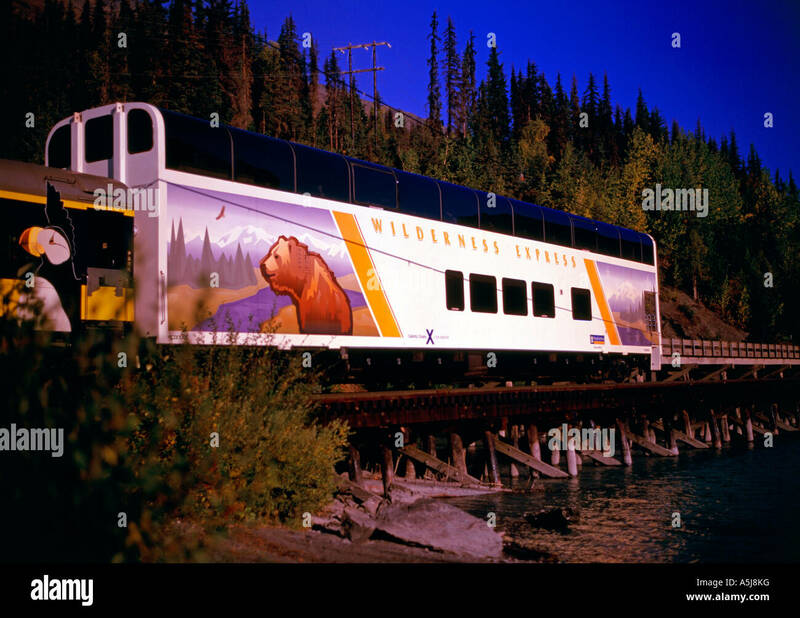 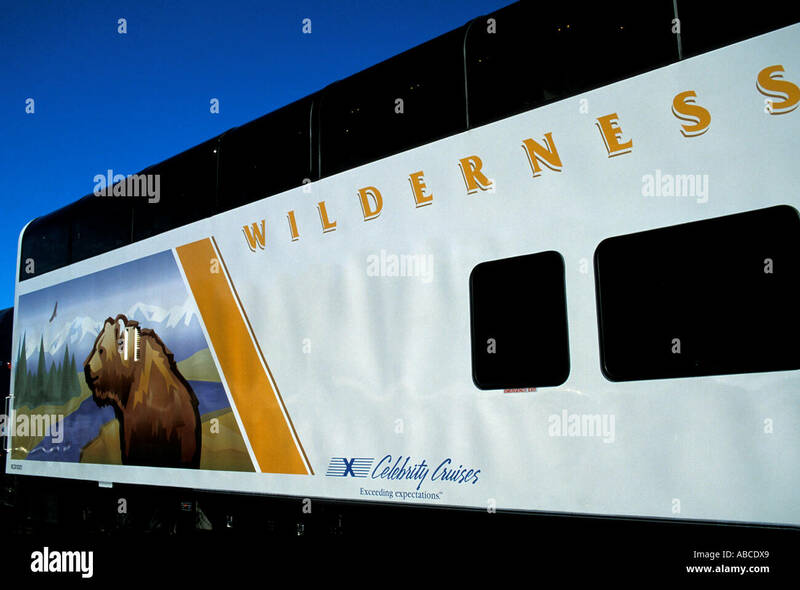 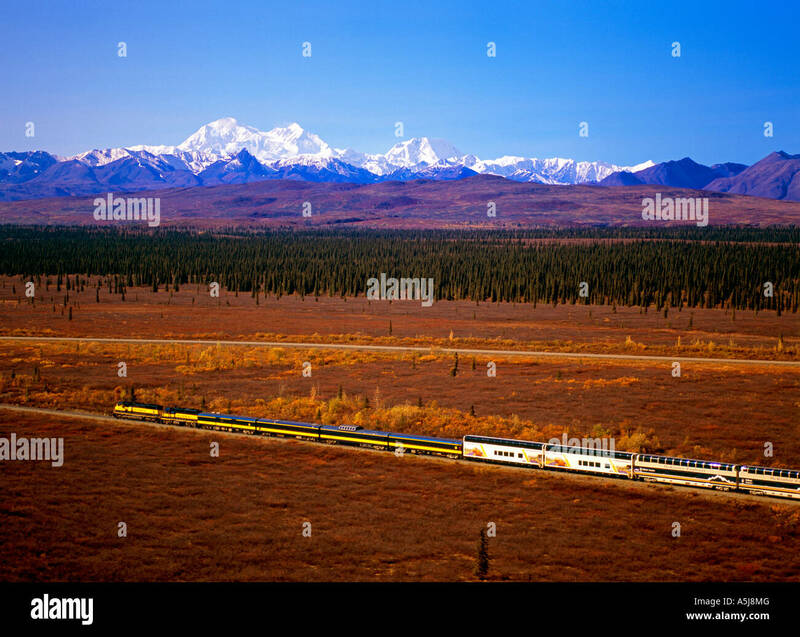 Alaska Railroad and the RCCL Wilderness Express southbound train with Mt. 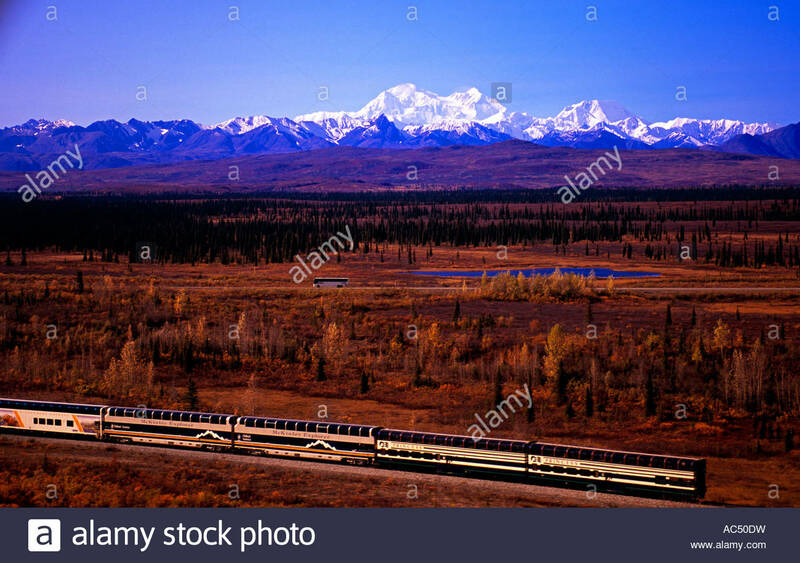 McKinley and the Alaska Range. 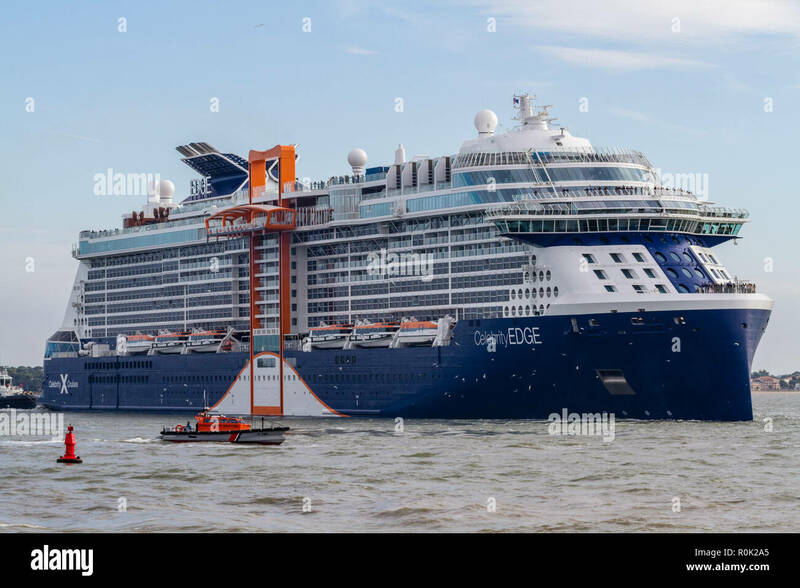 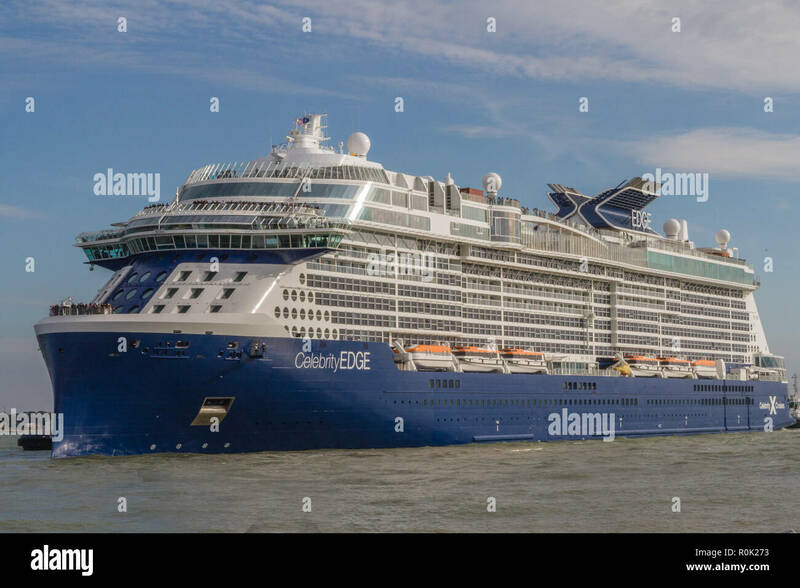 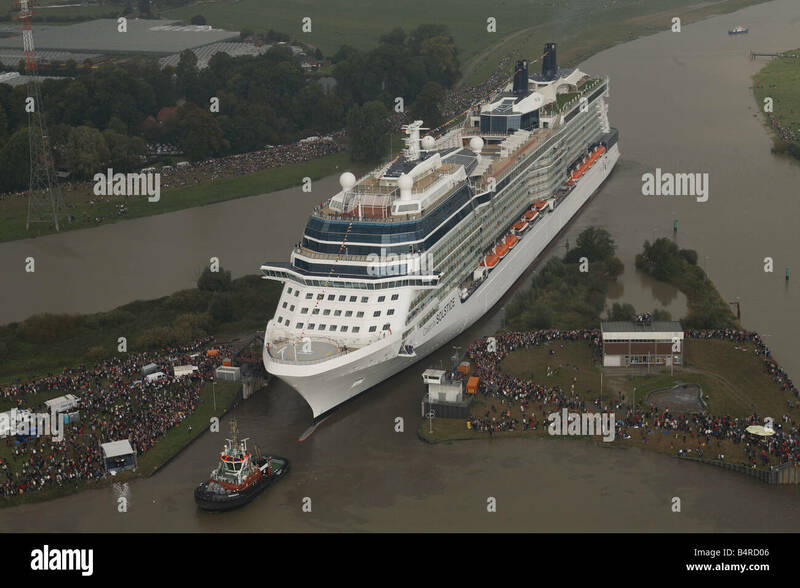 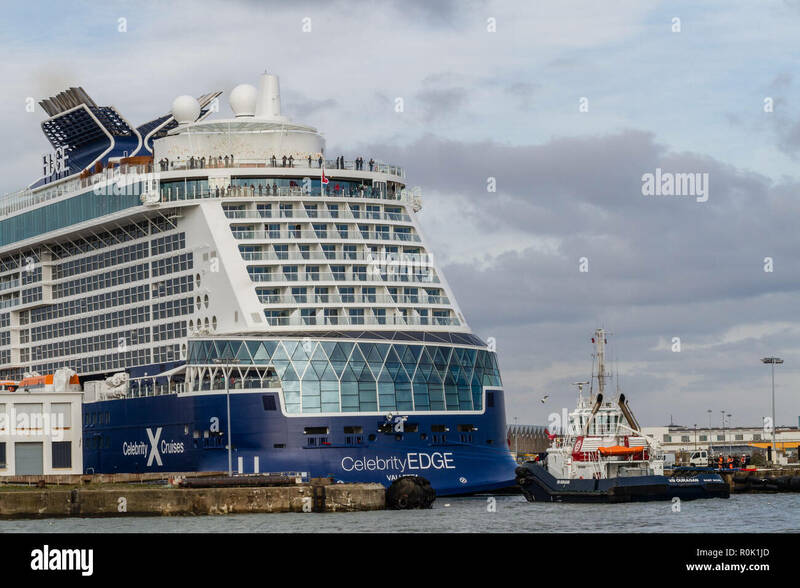 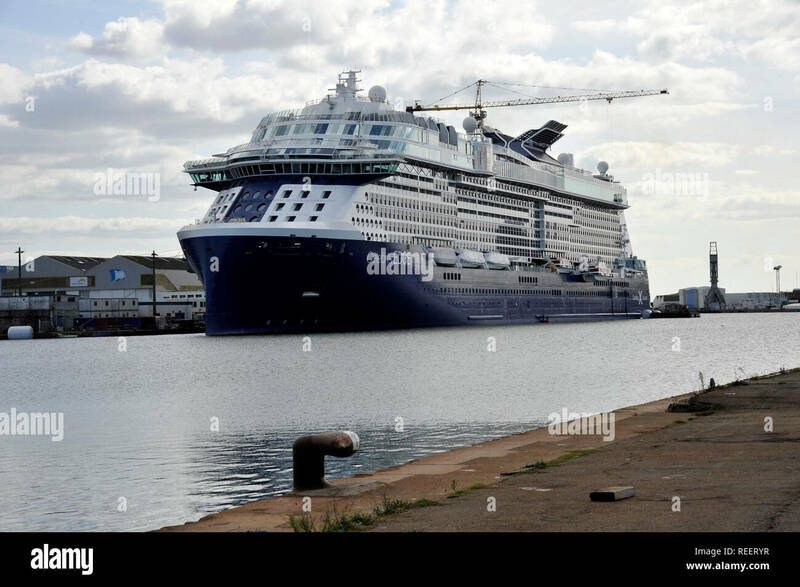 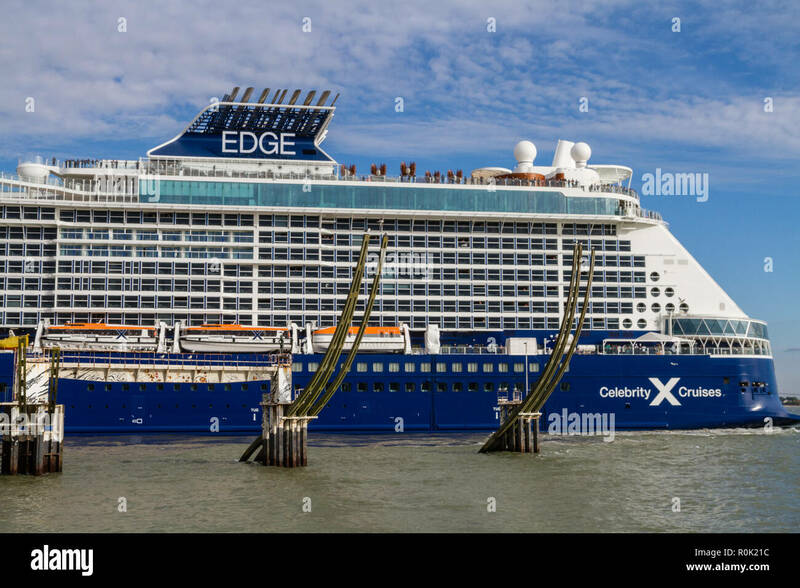 Celebrity Solstice squeezes out of the lock at the Papenburg shipyard where she was built. 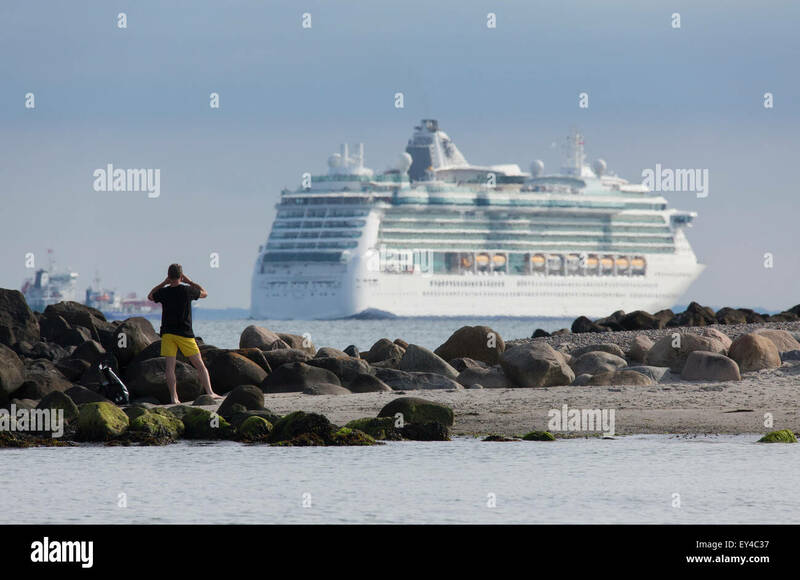 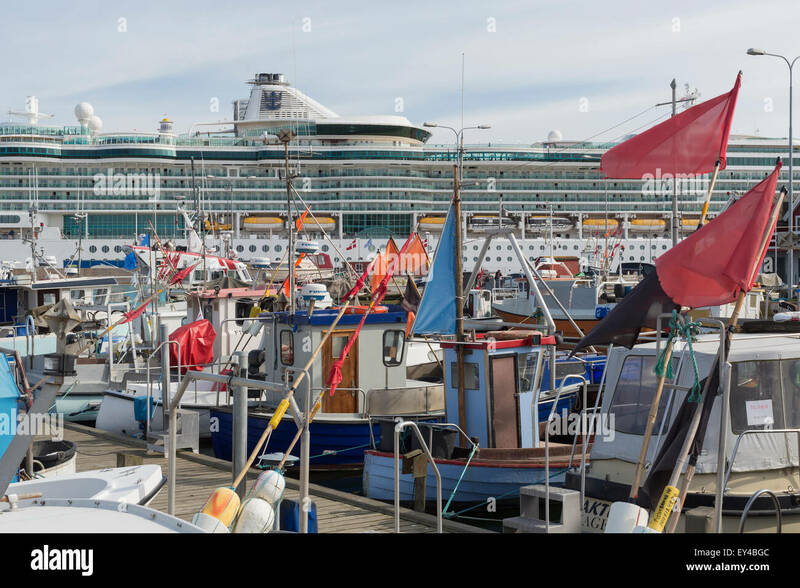 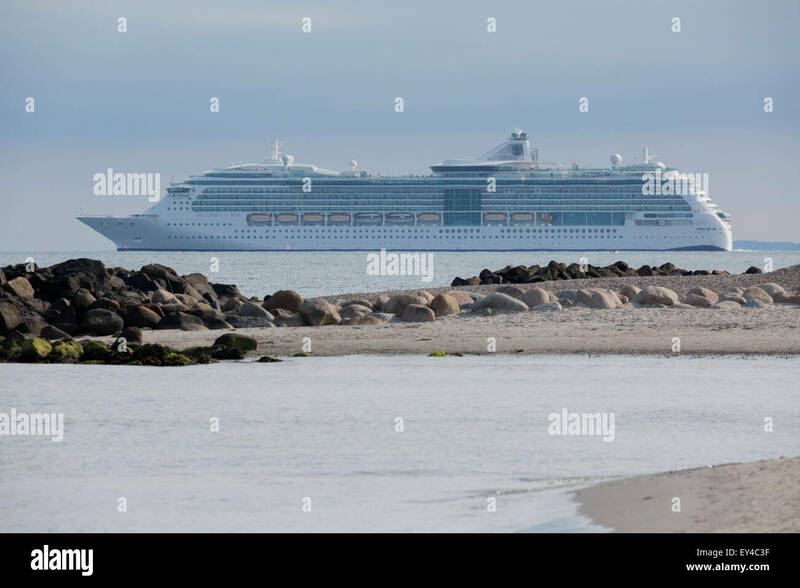 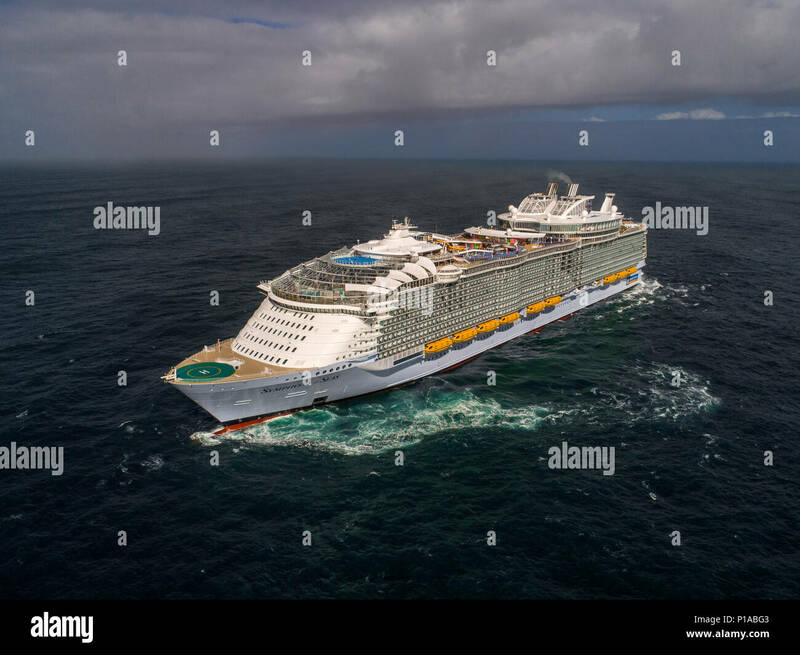 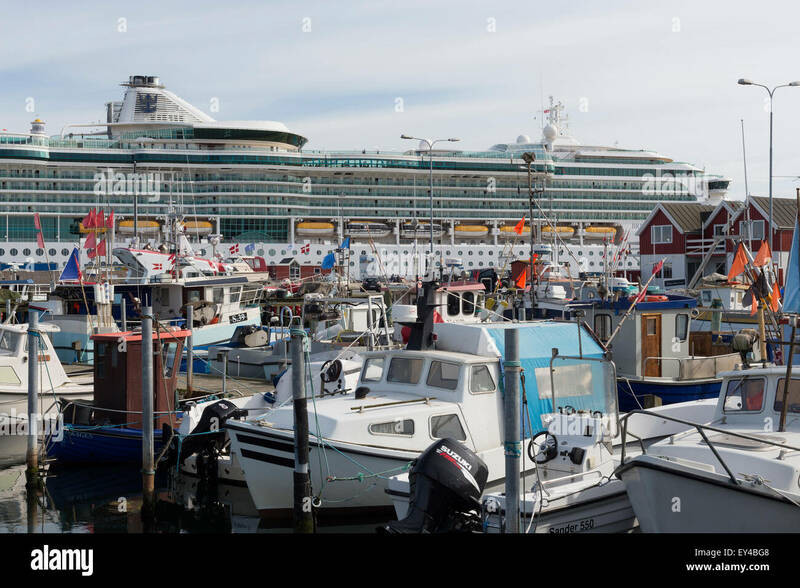 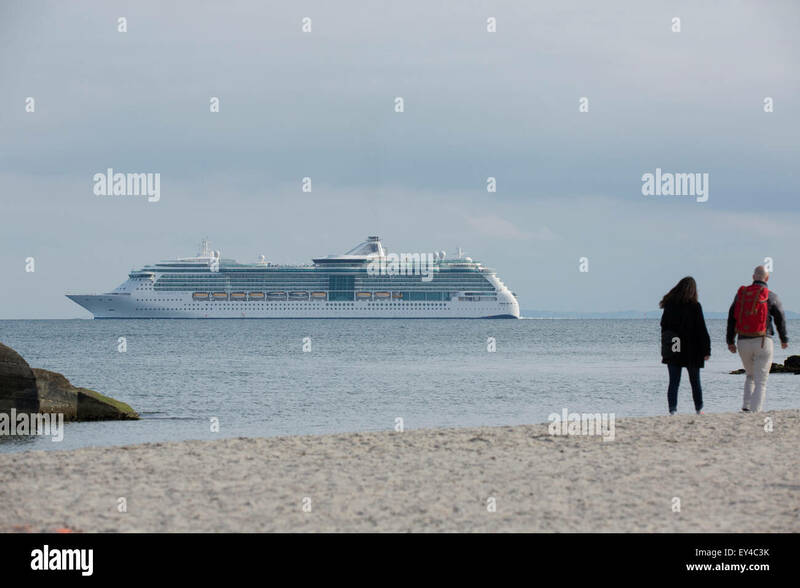 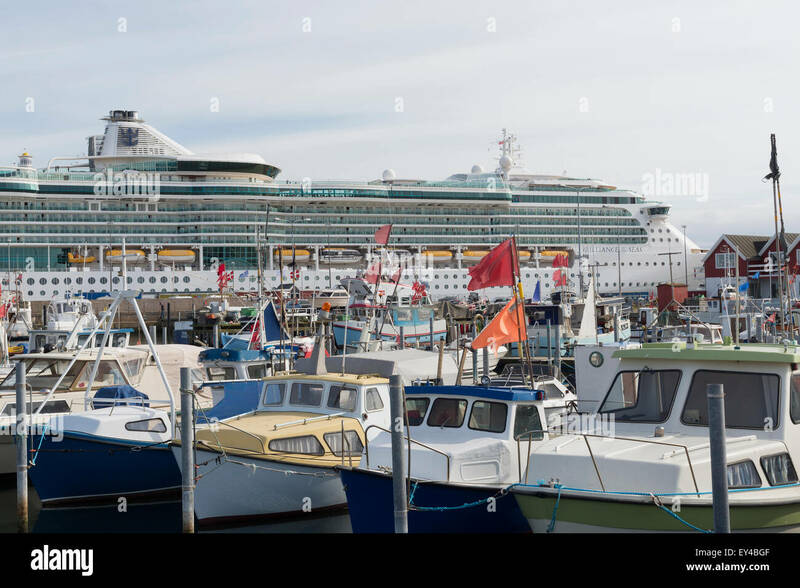 The cruise vessel Brilliance of the Seas at Skagen. 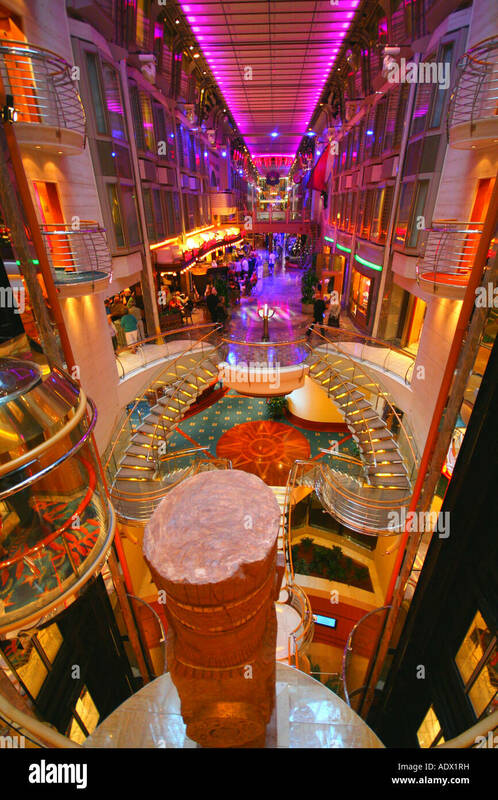 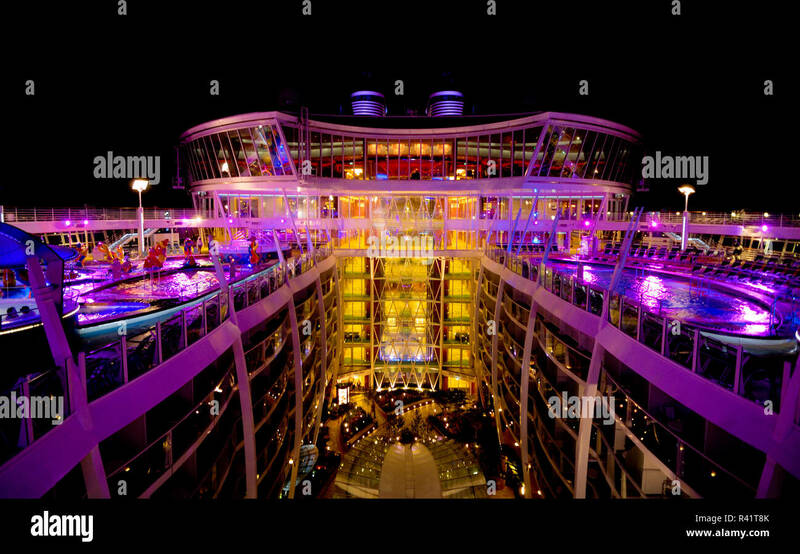 The lighted pool decks on Oasis of the Seas overlook the open, treed area called Central Park. 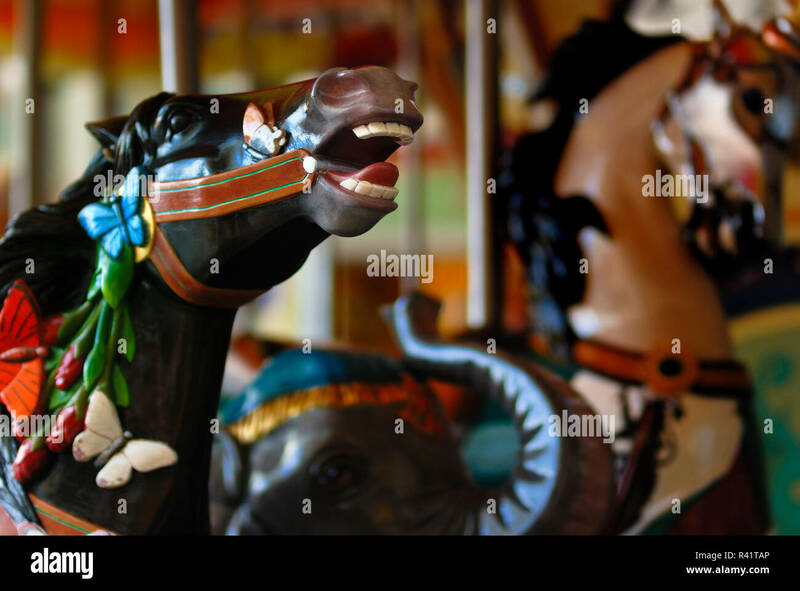 The carousel horses on the Boardwalk merry go round on the cruise ship Oasis of the Seas. 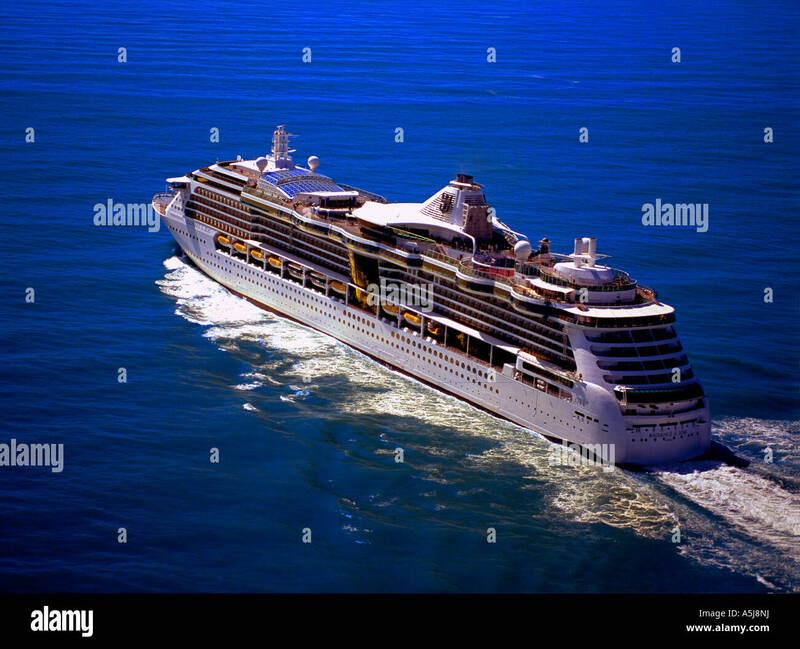 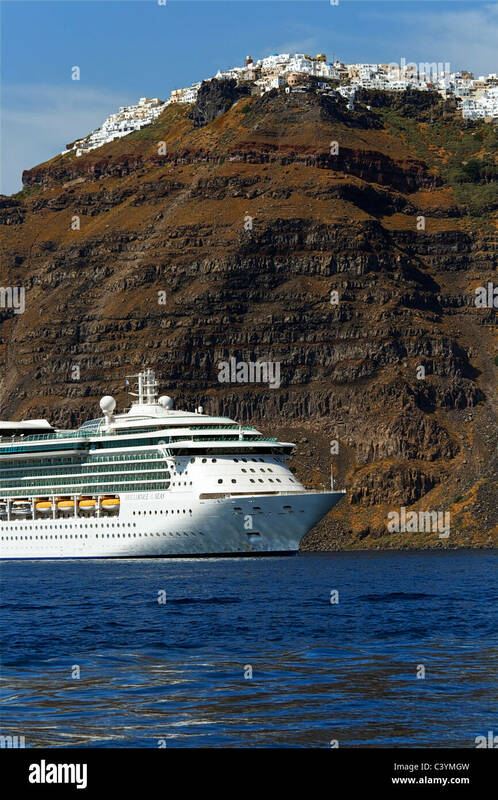 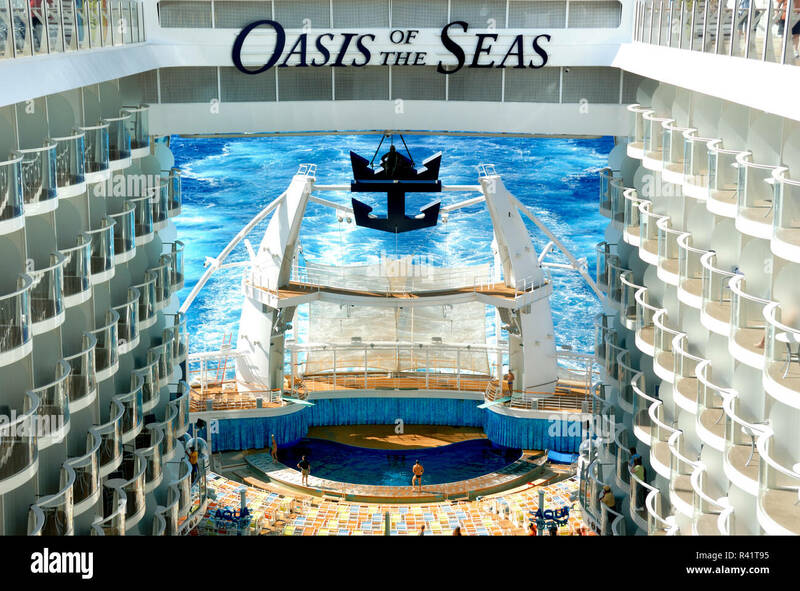 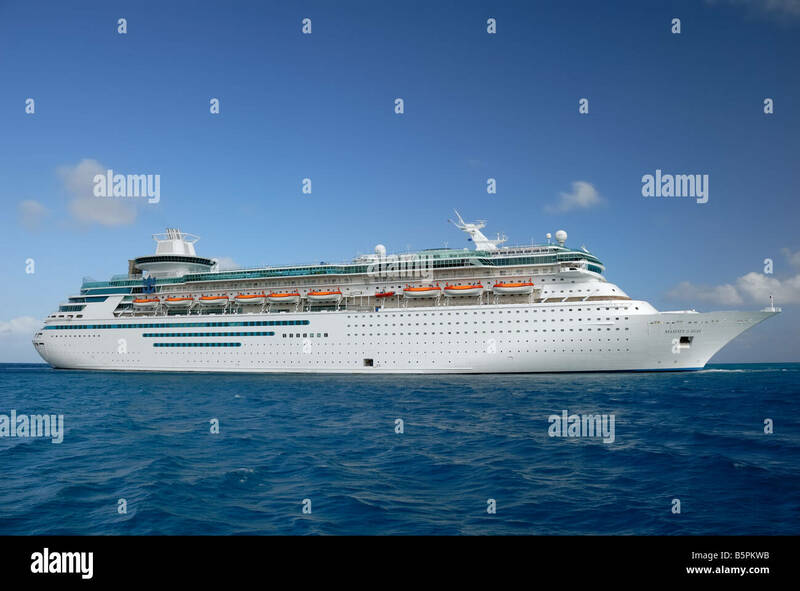 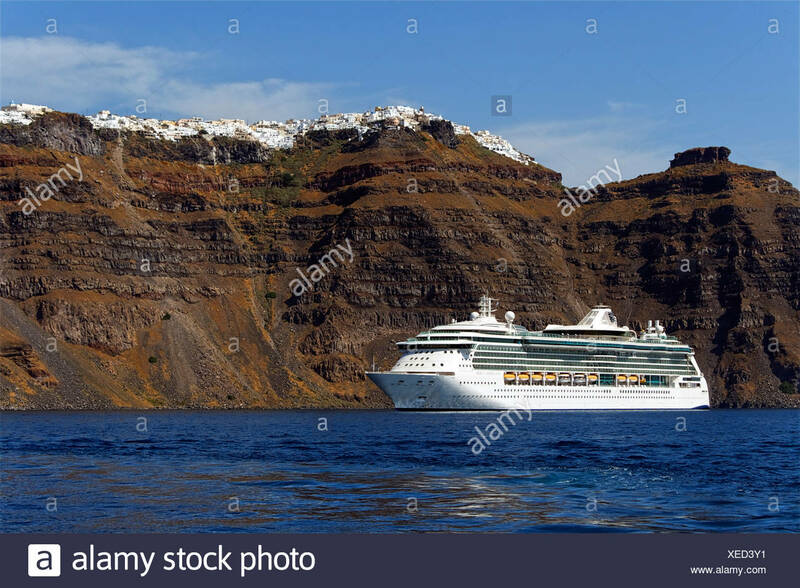 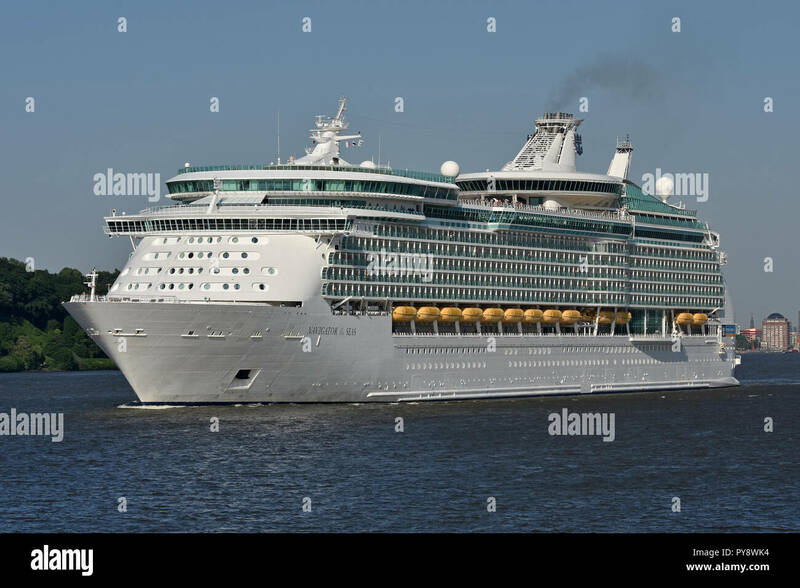 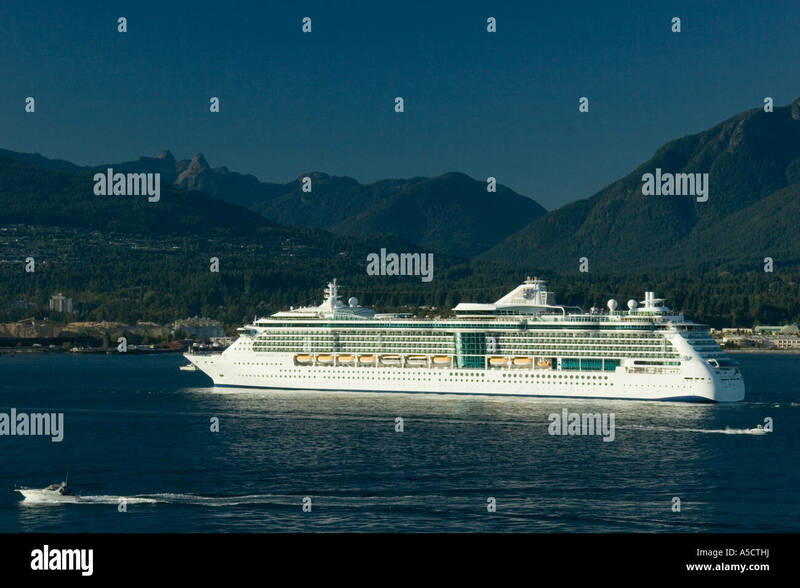 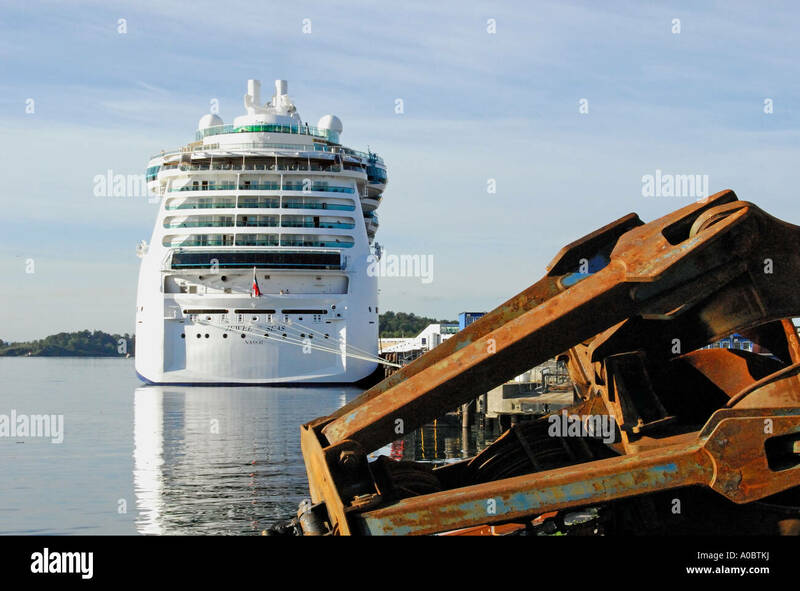 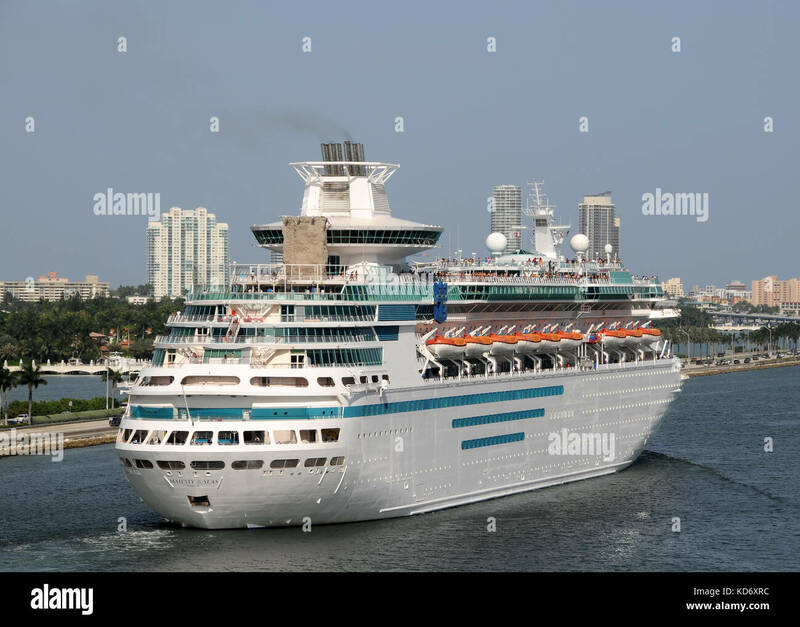 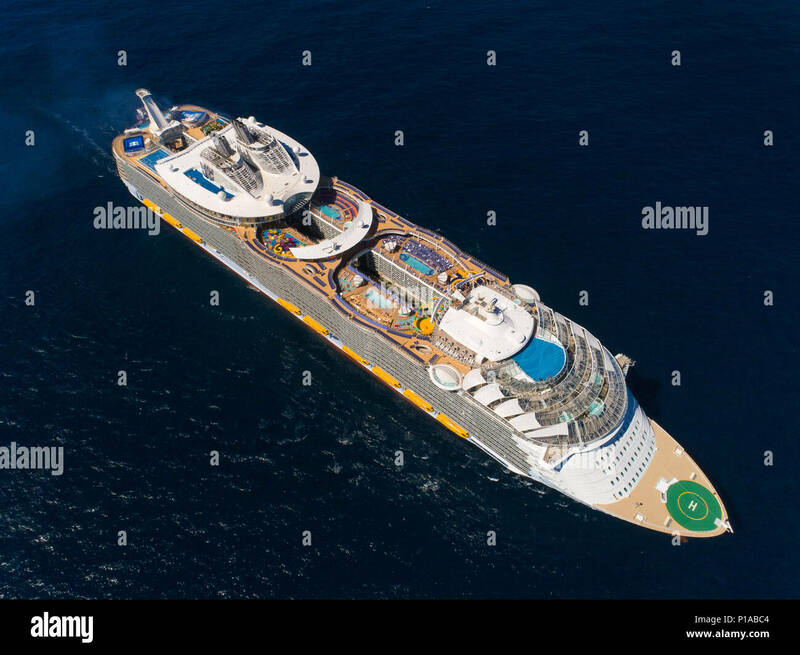 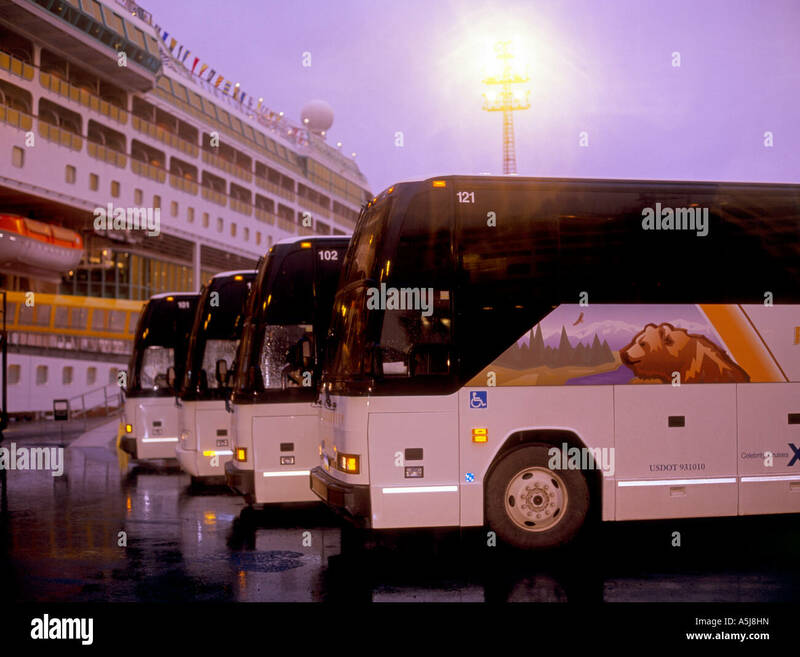 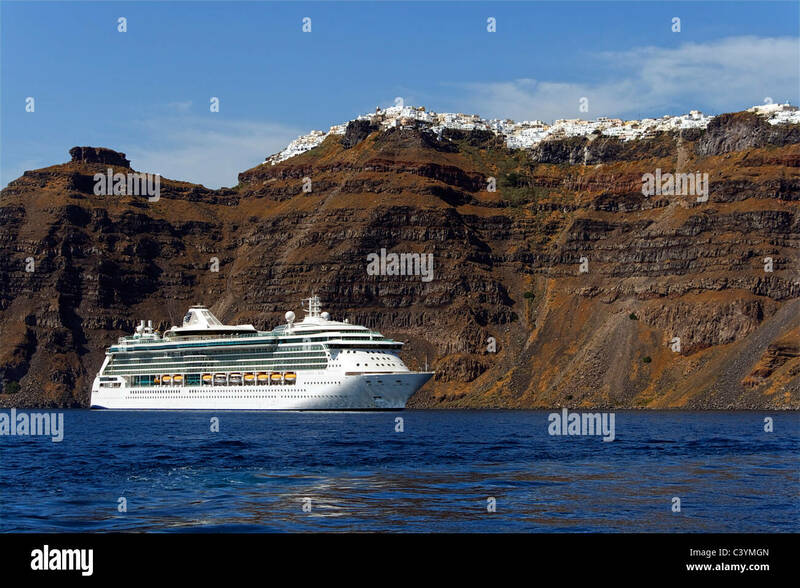 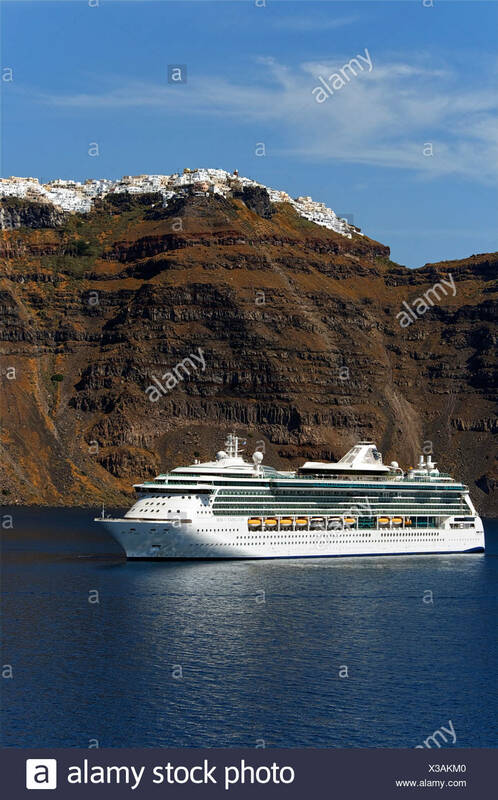 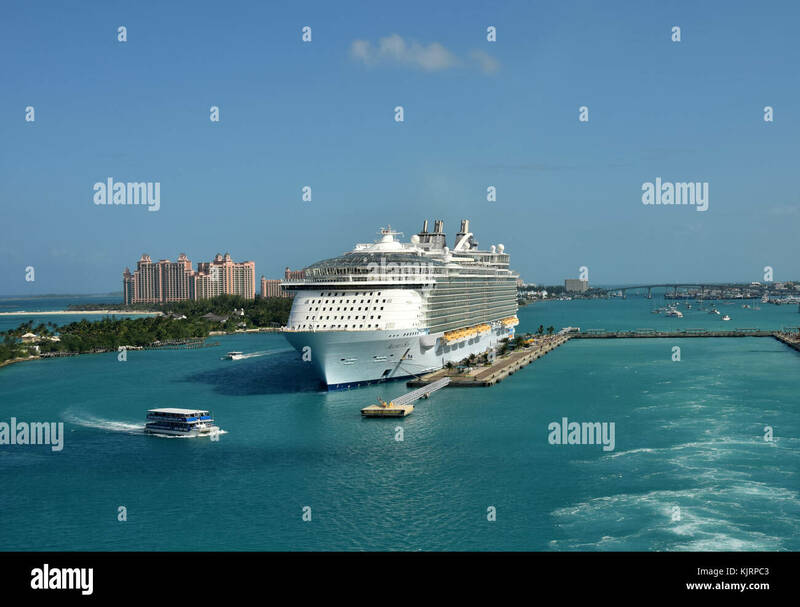 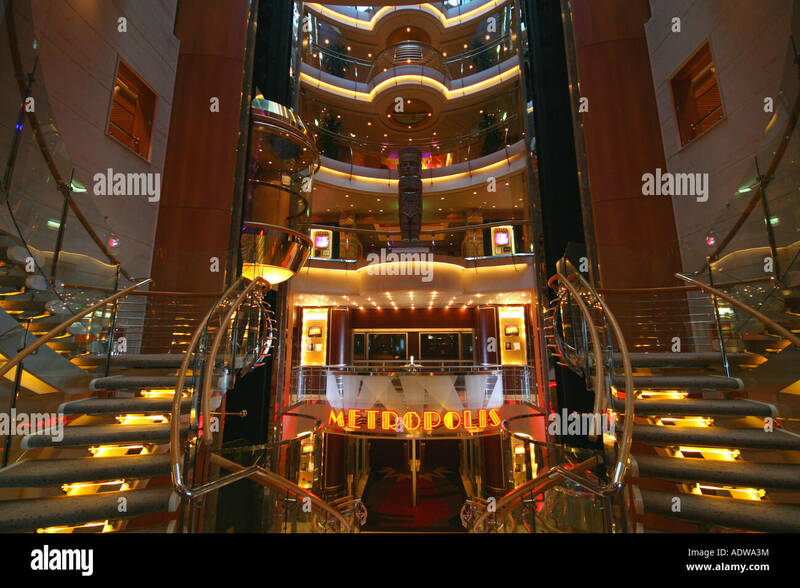 Majesty of the Seas is a Sovereign Class cruise ship owned and operated by Royal Caribbean International. 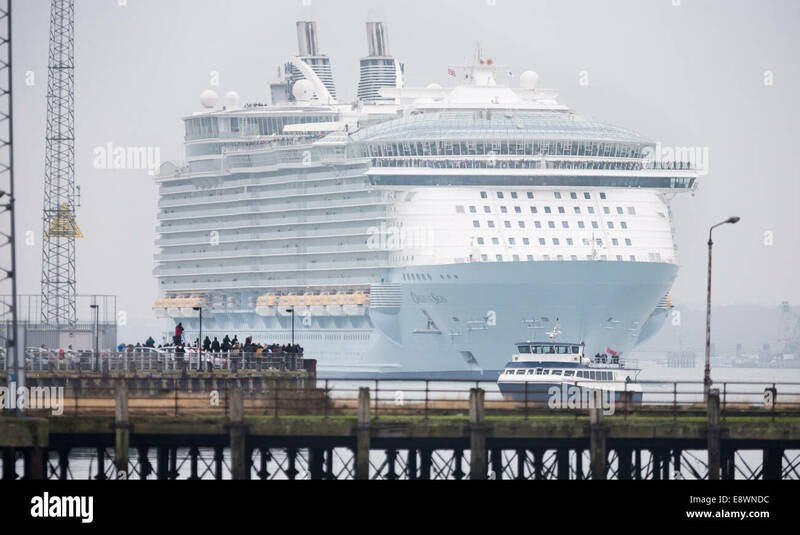 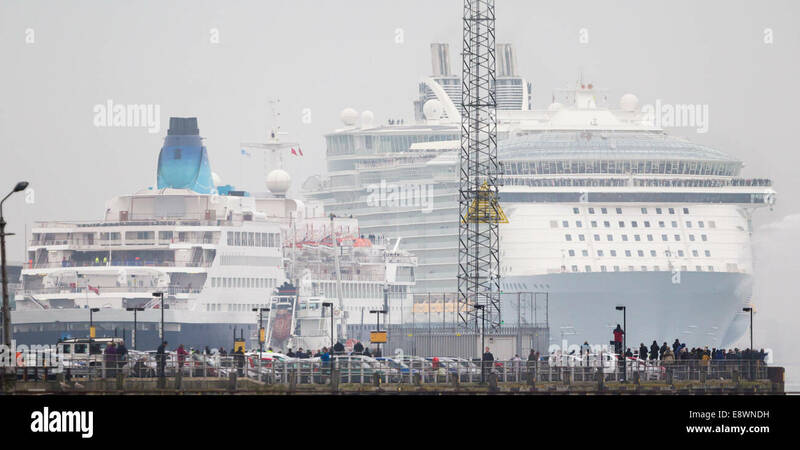 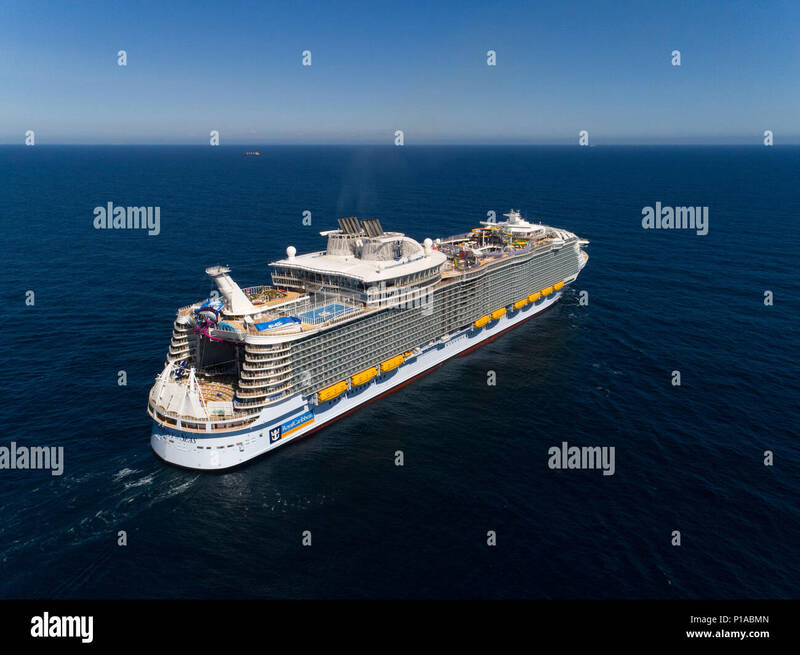 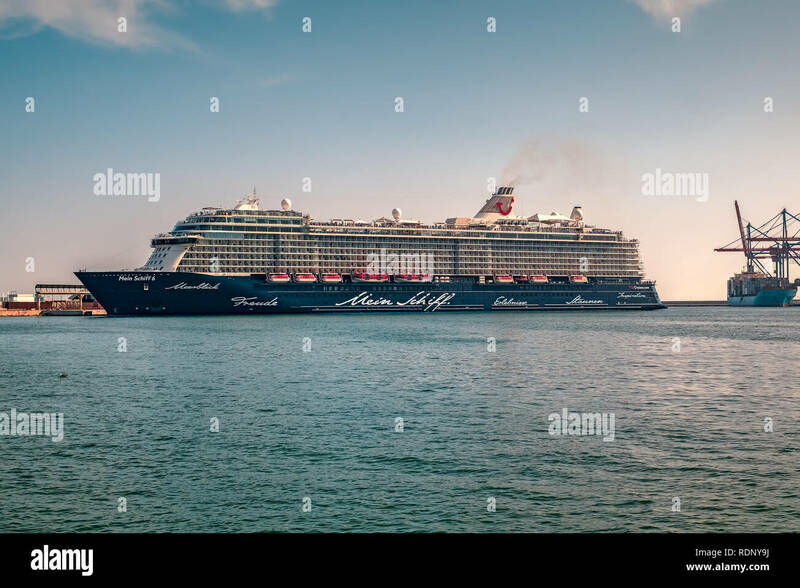 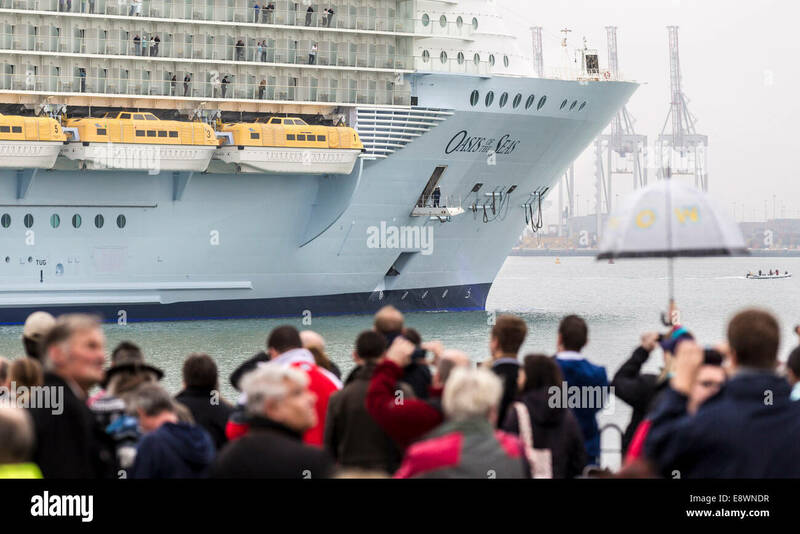 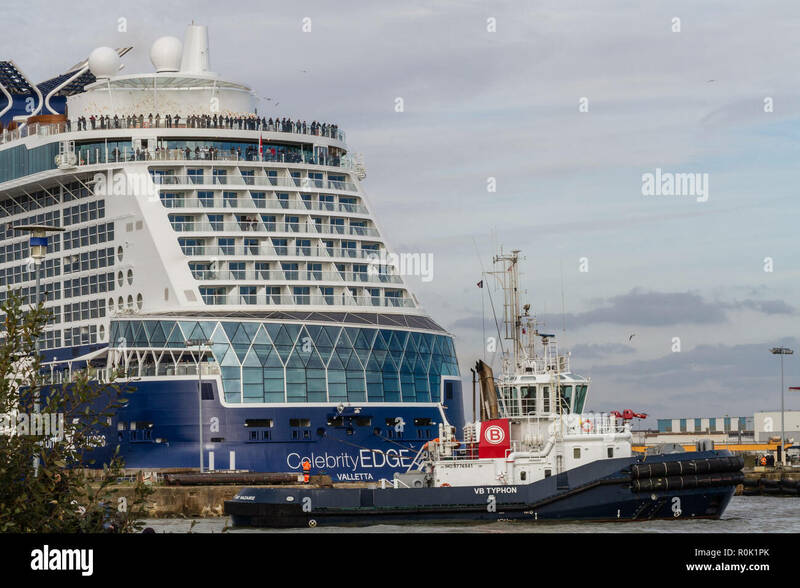 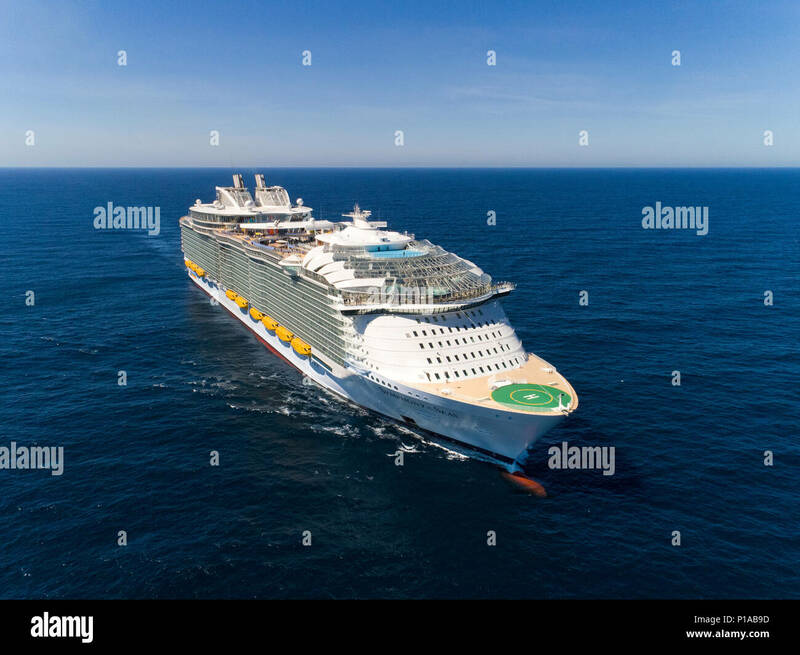 Spectators take pictures as the world's largest cruise ship, Oasis of the Seas arrives in Southampton for a short stopover. 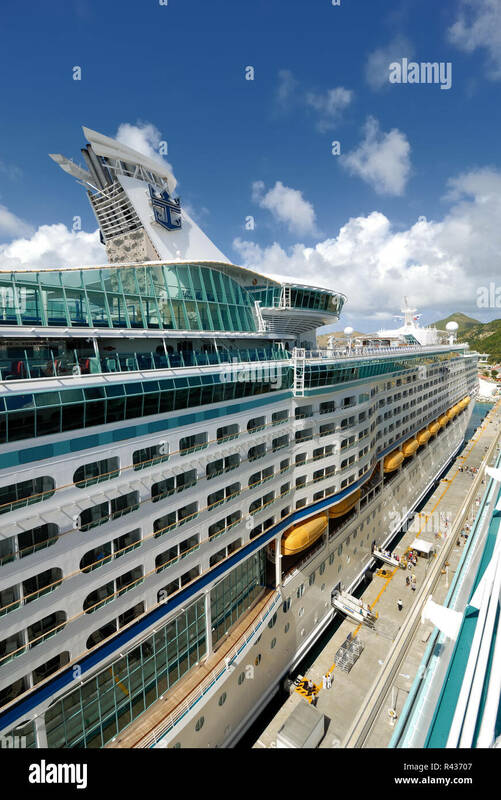 Royal Caribbean's Explorer of the Seas, docked at St. Maarten. 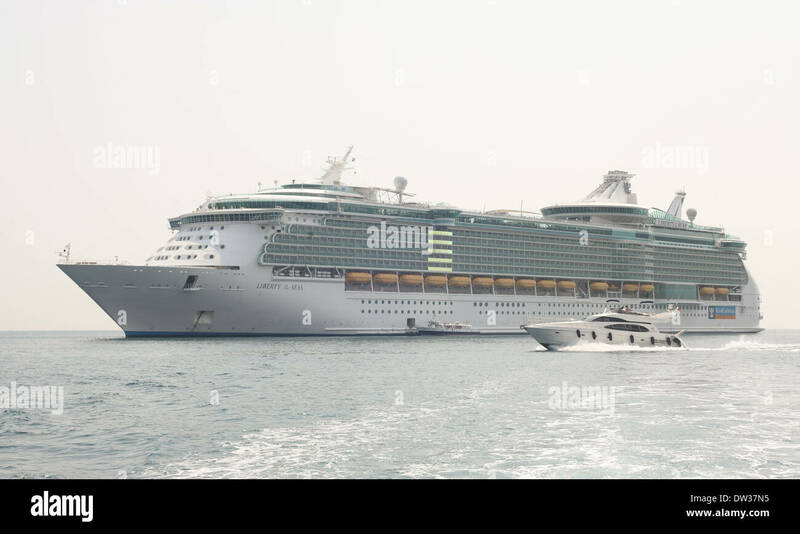 Liberty of the Seas at Tender off Cannes, France. 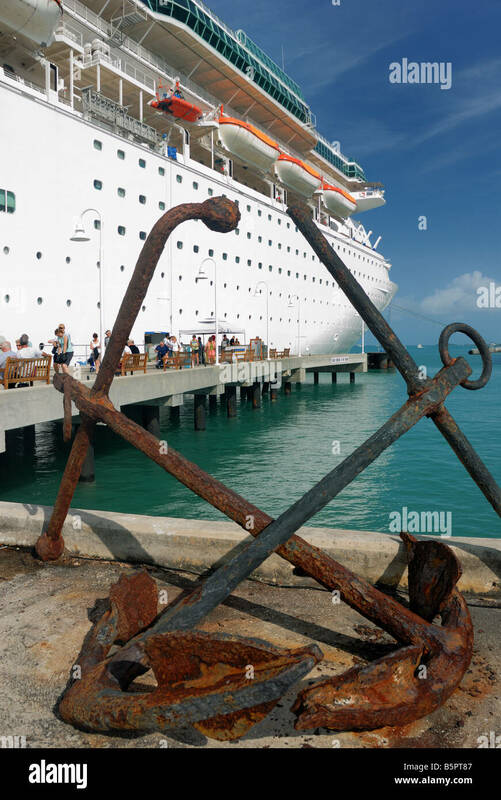 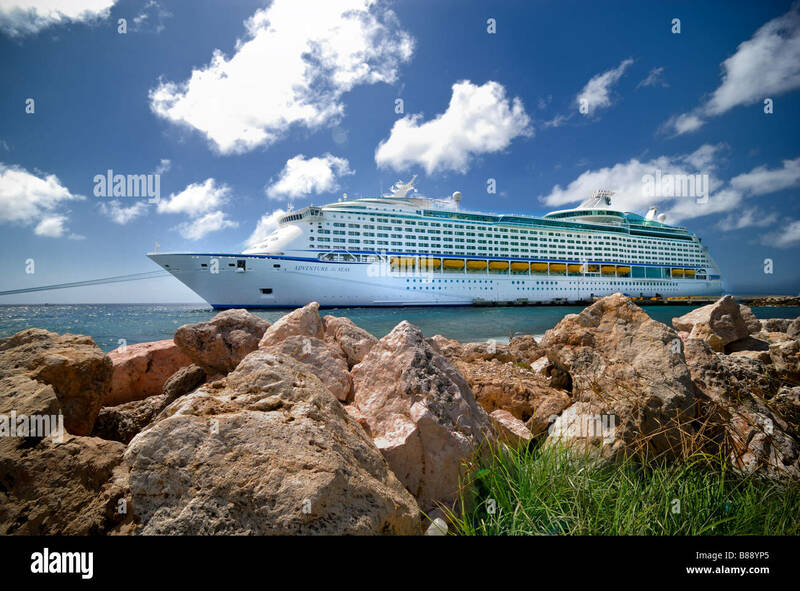 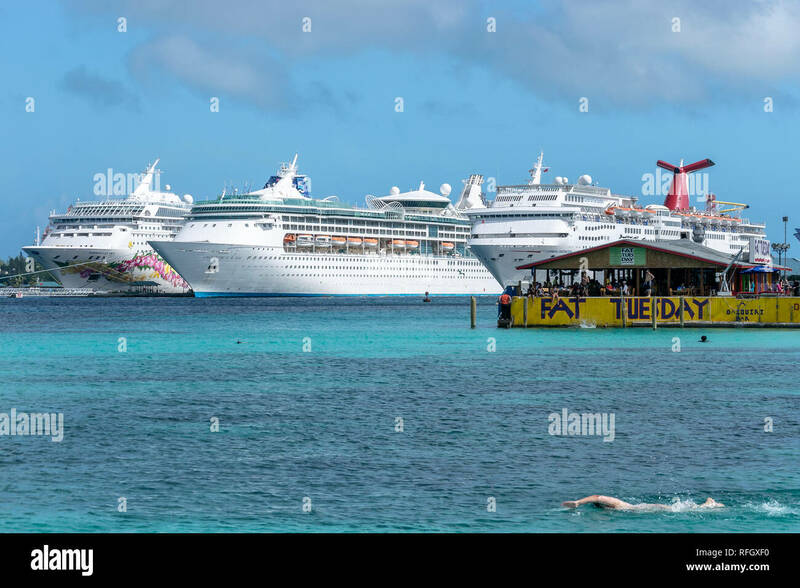 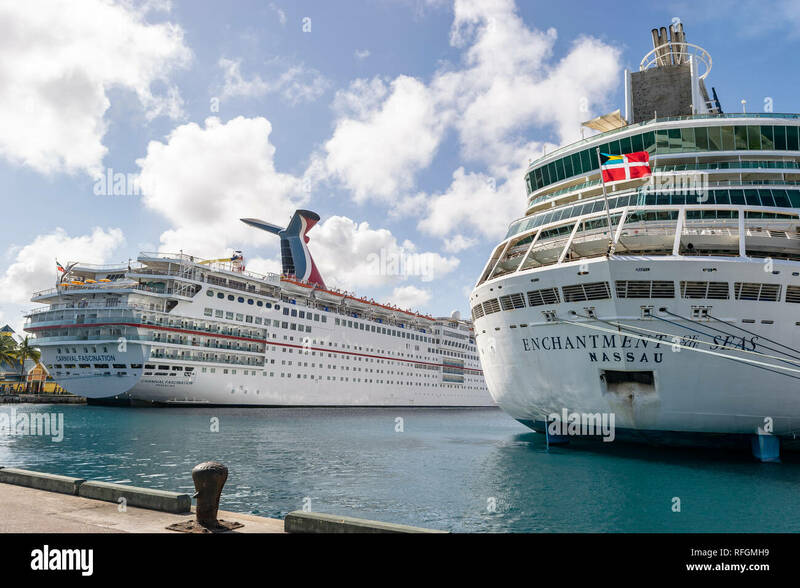 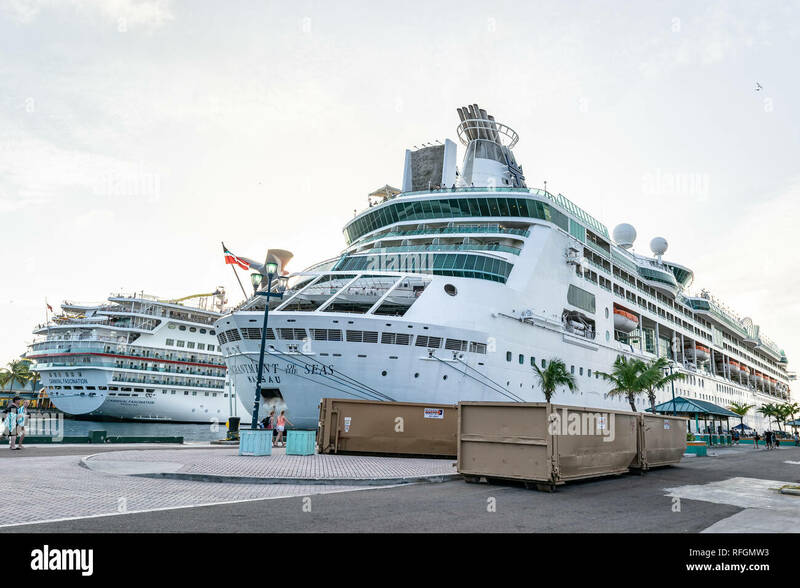 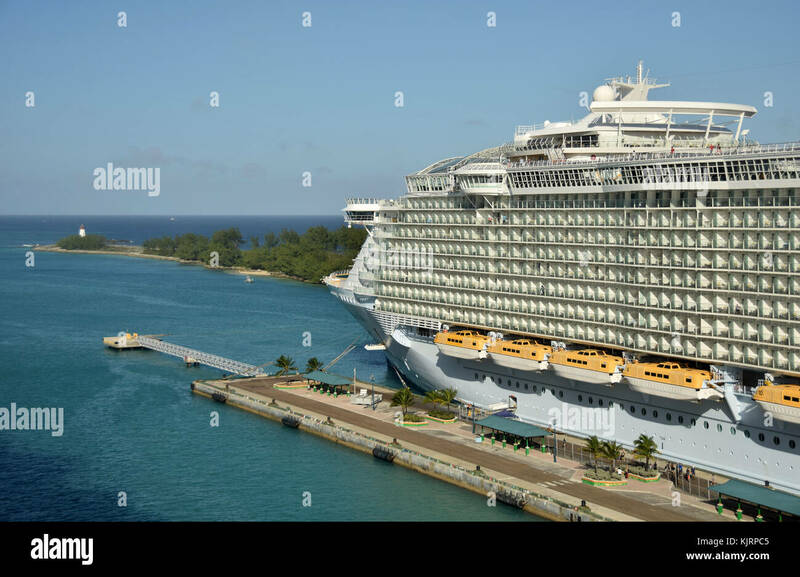 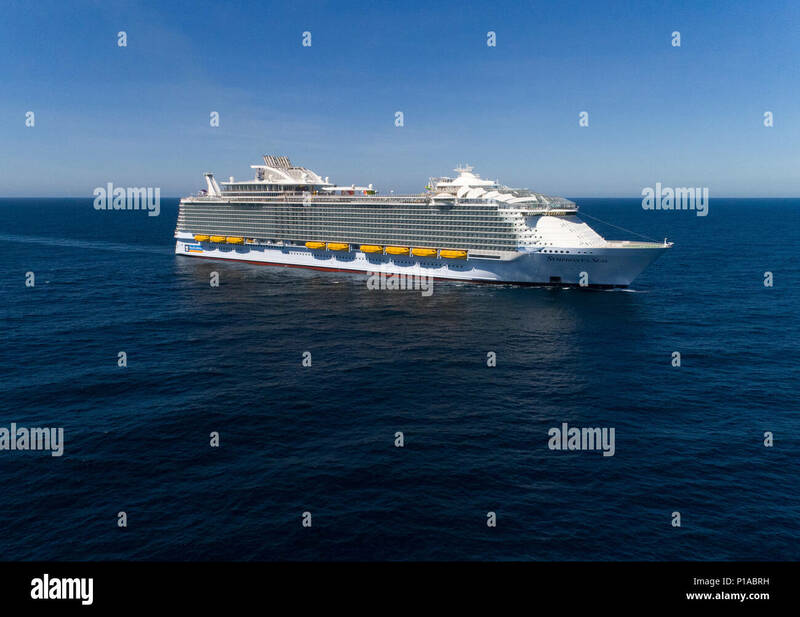 Royal Caribbean's Adventure of the Seas docked at Curacao, Netherlands Antilles (ABC Islands). 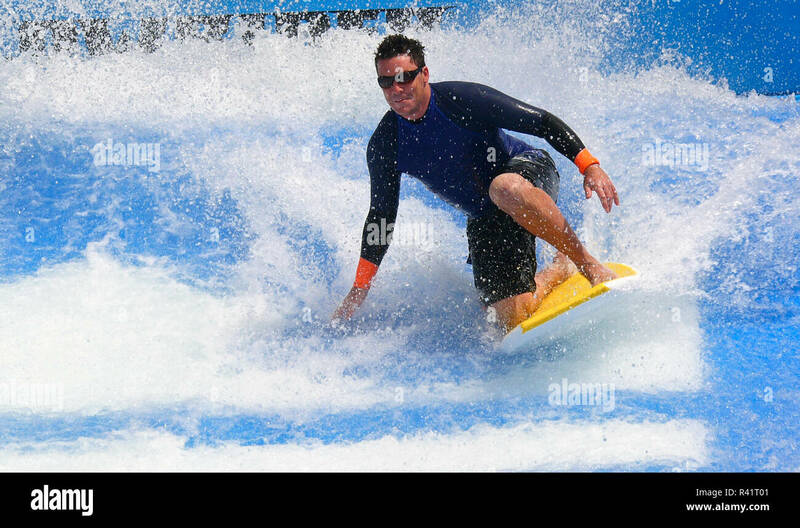 A surfer on the Flowrider wave system on Royal Caribbean International's cruise ship, Liberty of the Seas. 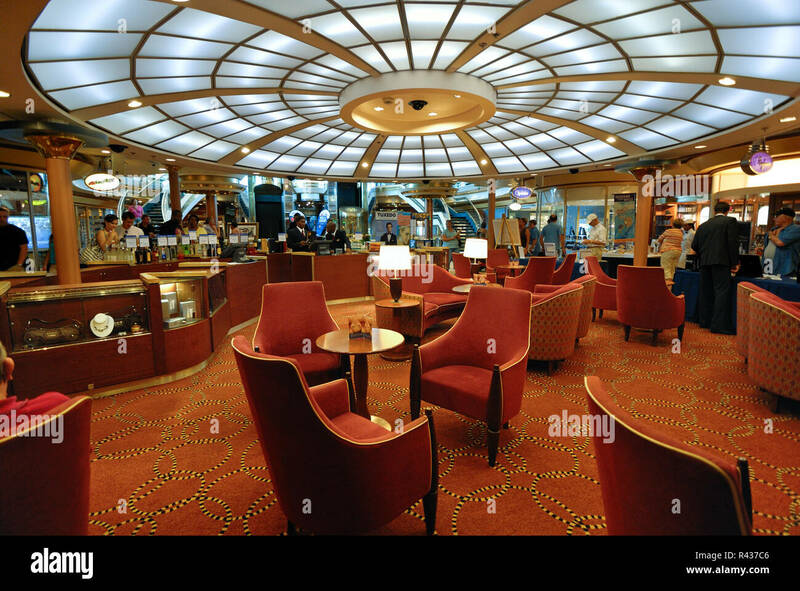 Comfortable chairs are in the center of the on board shopping area on Royal Carribean's Majesty of the Seas cruise ship. 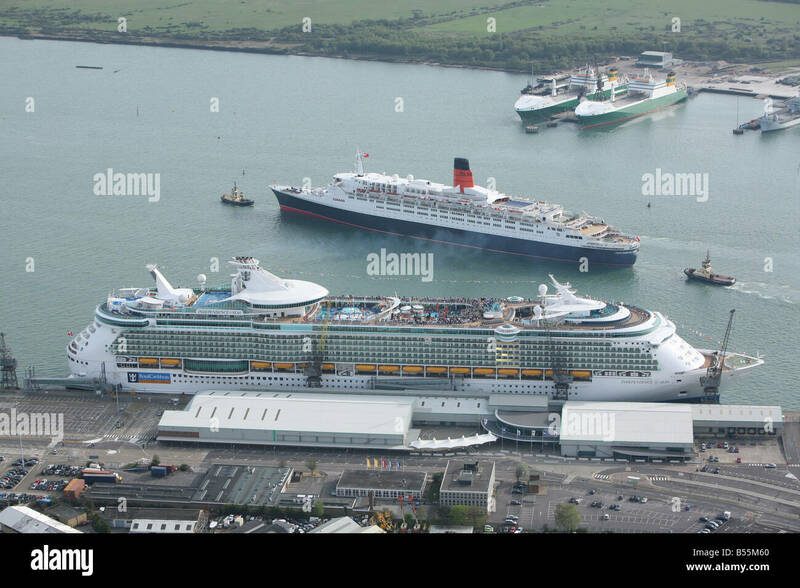 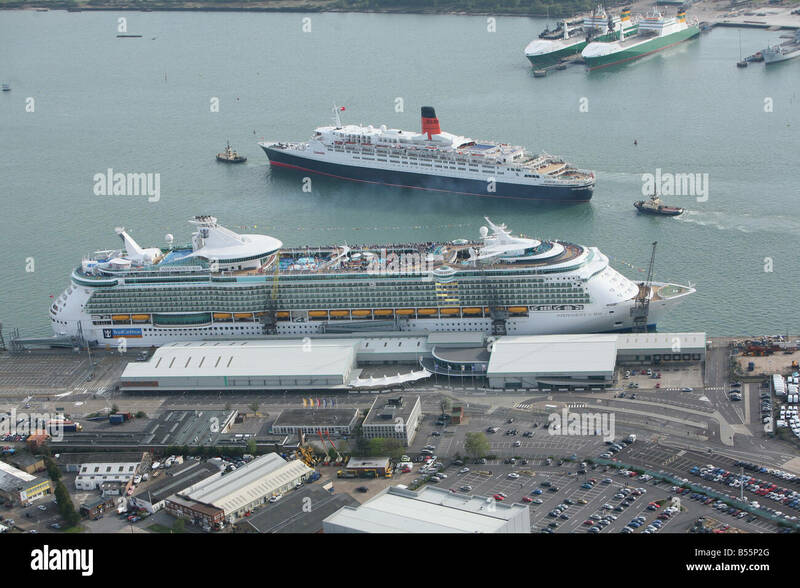 Queen Elisabeth 2 (QE2) passes Independence of the Seas on it's way out of Southampton Docks. 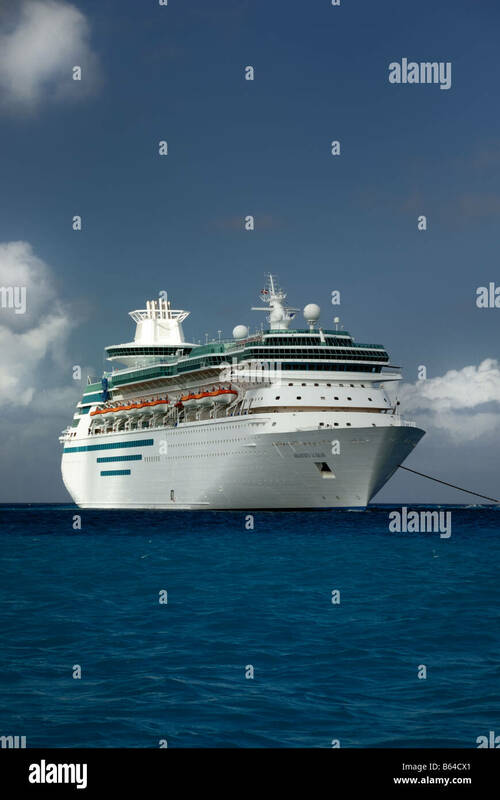 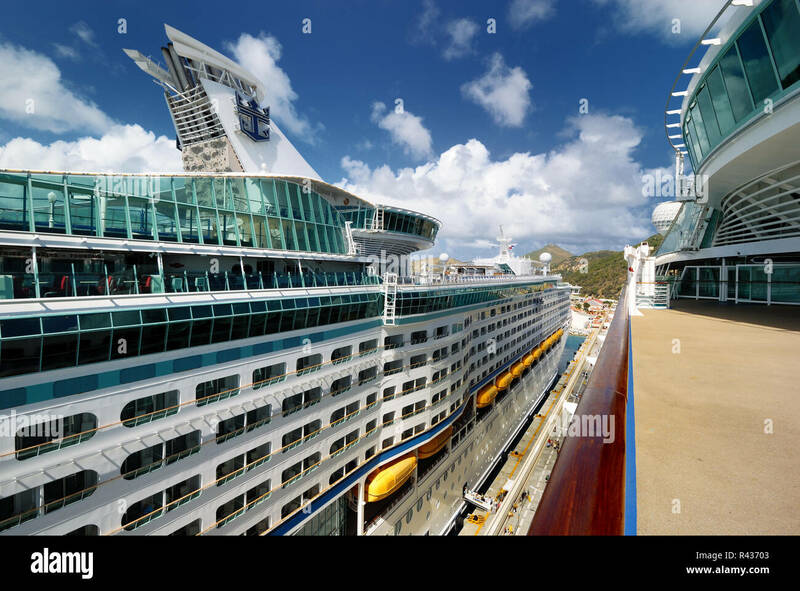 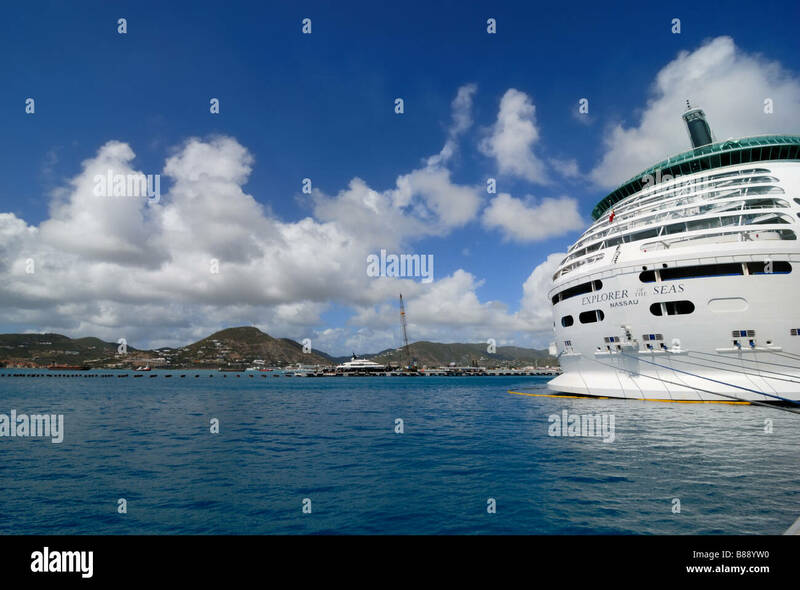 A view of Royal Carirbbean's Explorer of the Seas as viewed from the upper deck of the Adventure of the Seas, docked at St. Maarten. 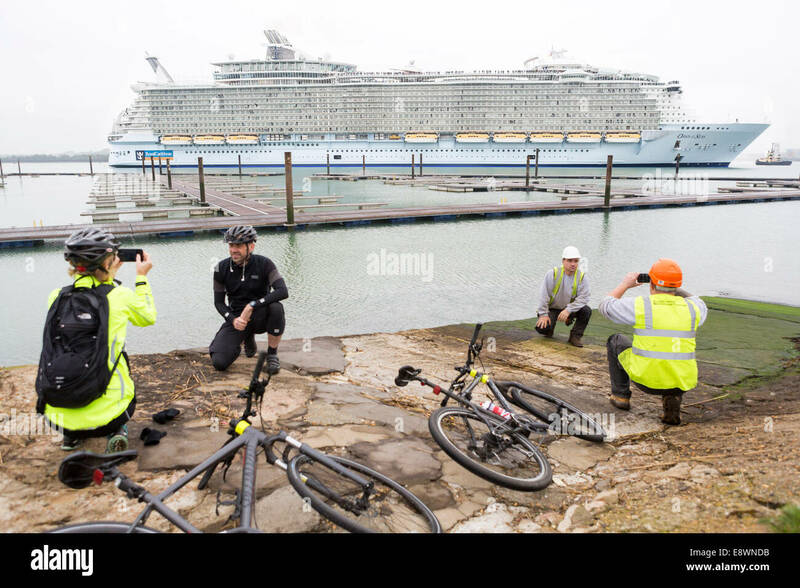 Ship spotters gather to see the world's largest cruise ship, Oasis of the Seas arrive in Southampton for a short stopover. 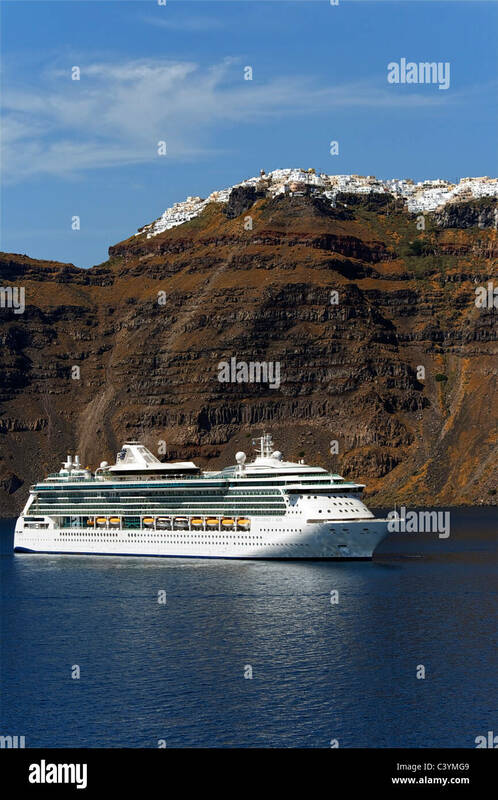 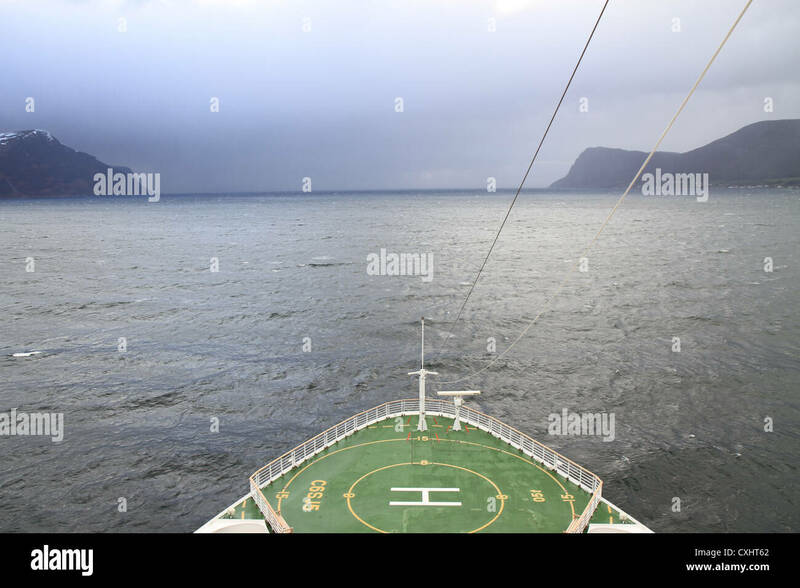 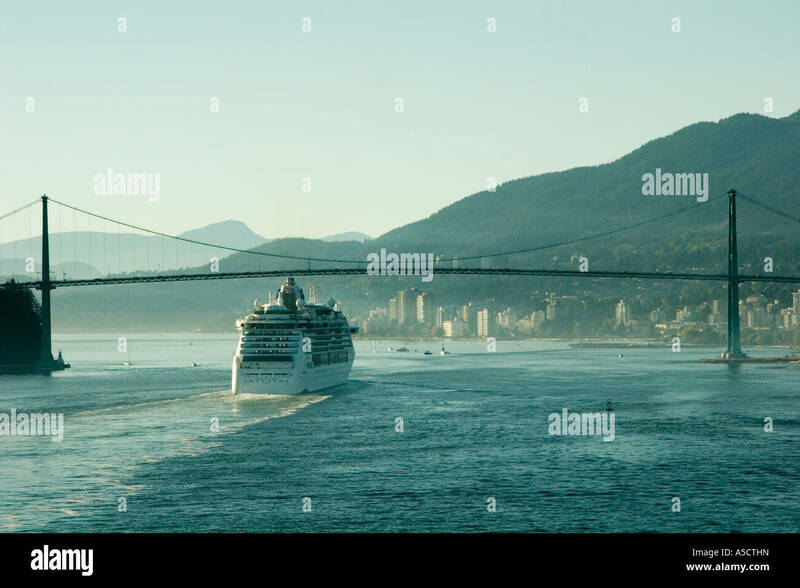 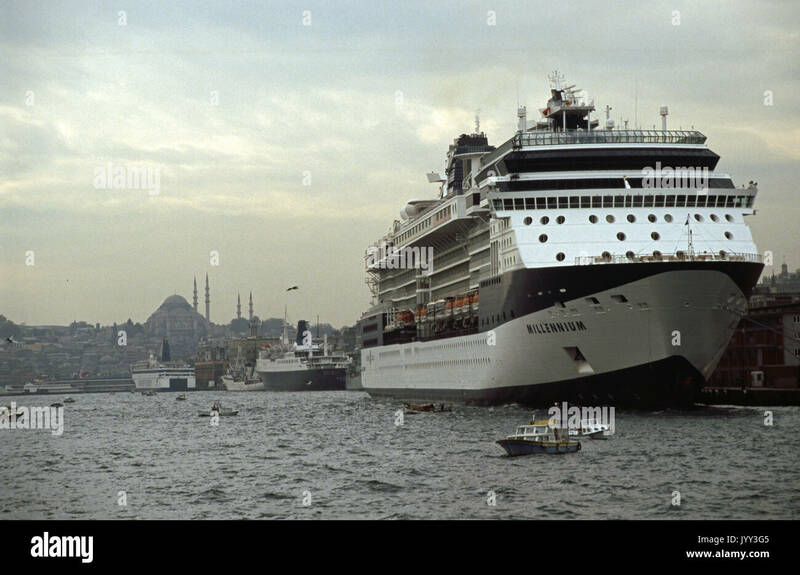 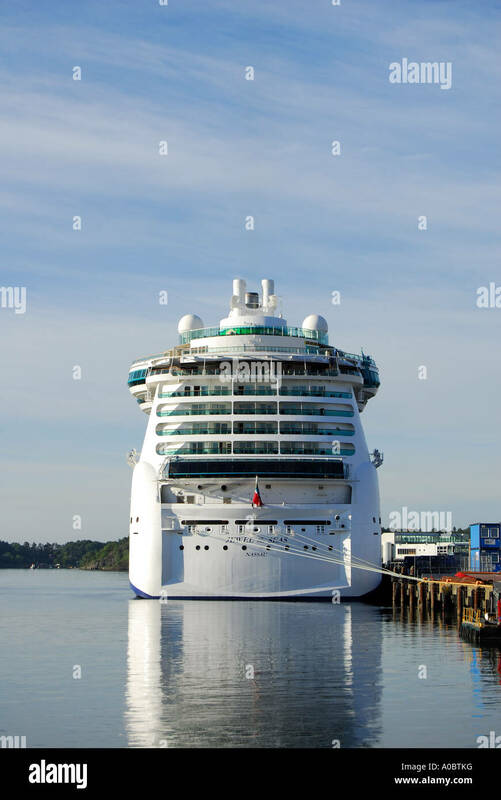 A cruiseship in the Norwegian fjords. 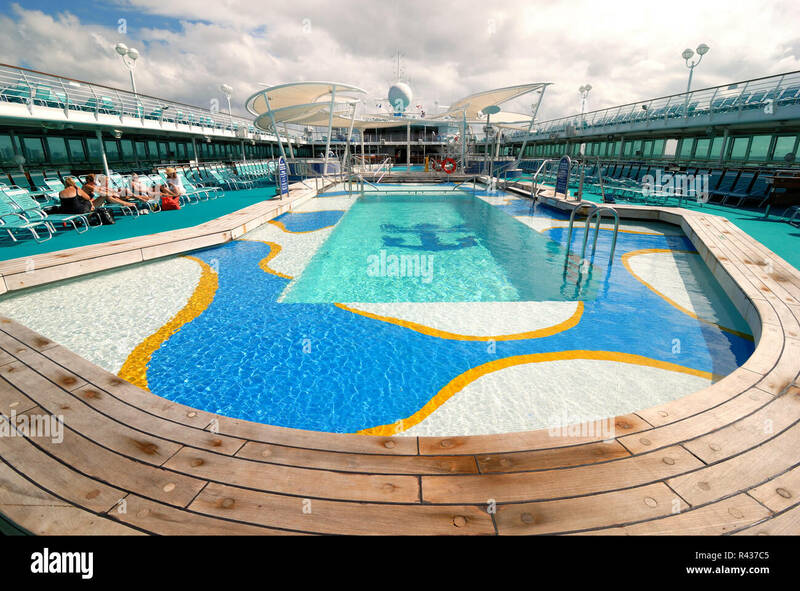 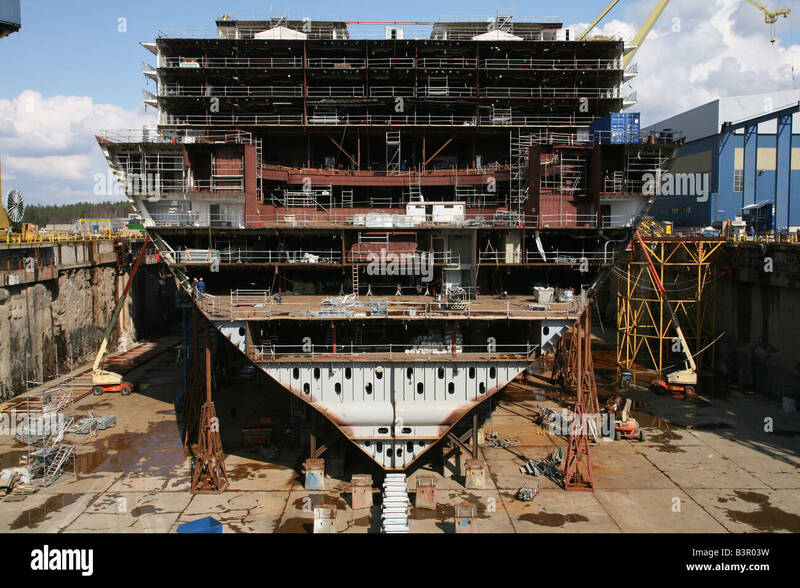 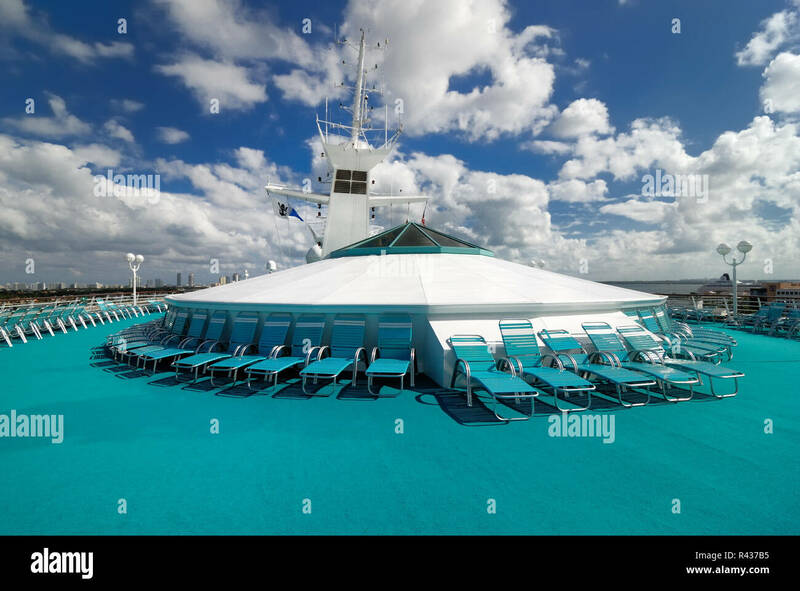 The pool deck on Royal Caribbean Interational's Majesty of the Seas cruise ship. 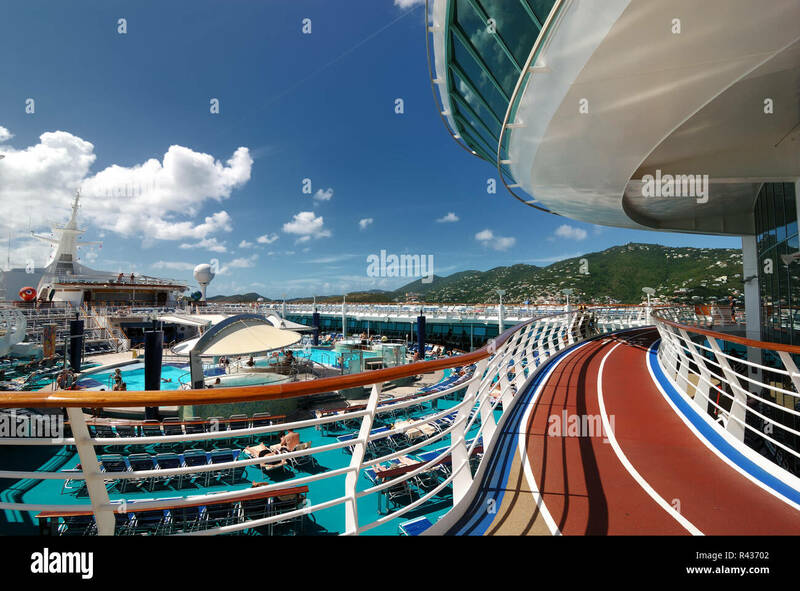 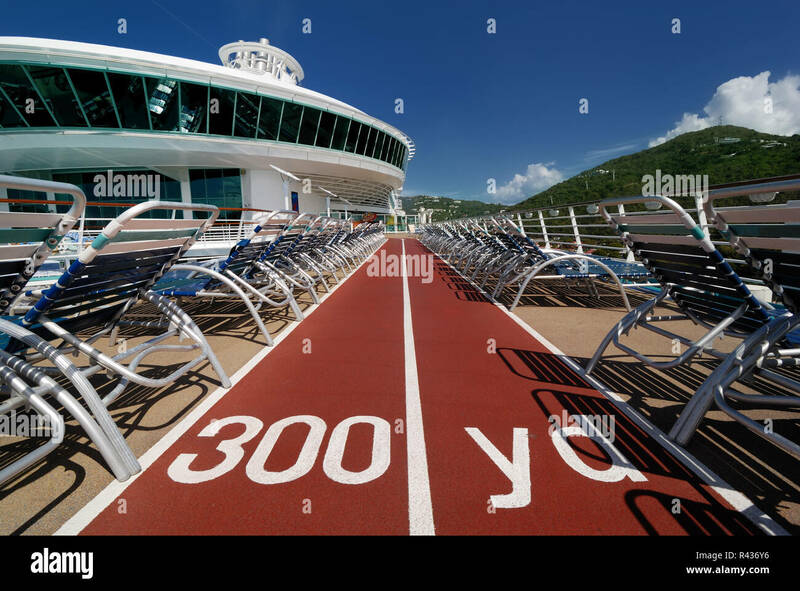 The jogging track on deck twelve of Royal Caribbean's Adventure of the Seas. 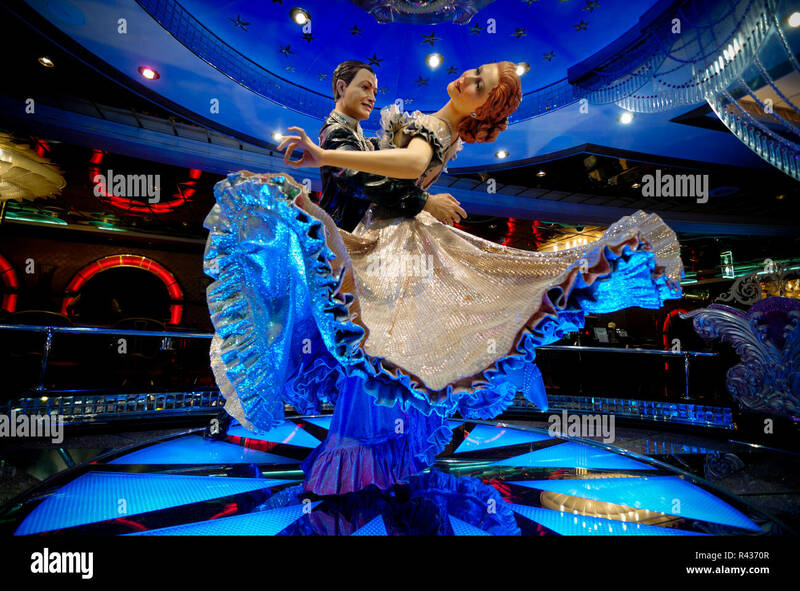 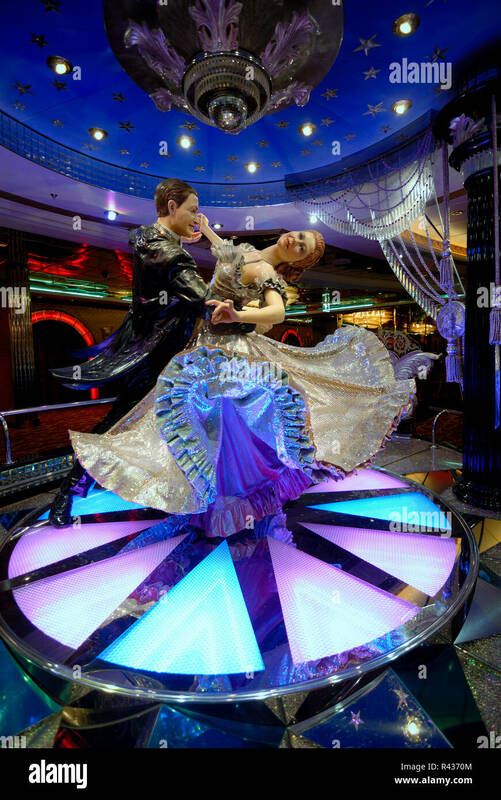 This statue of two ballroom dancers is located in the casino on the Royal Caribbean cruise ship Adventure of the Seas. 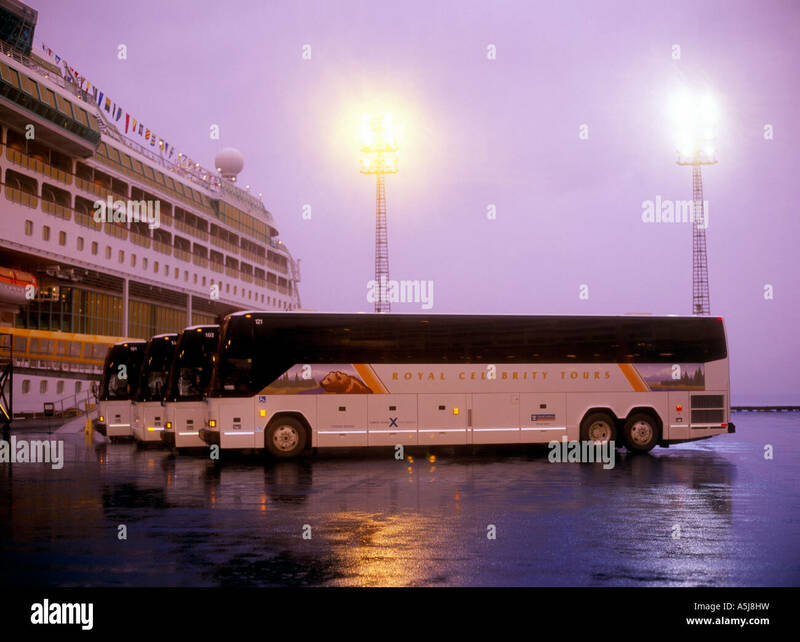 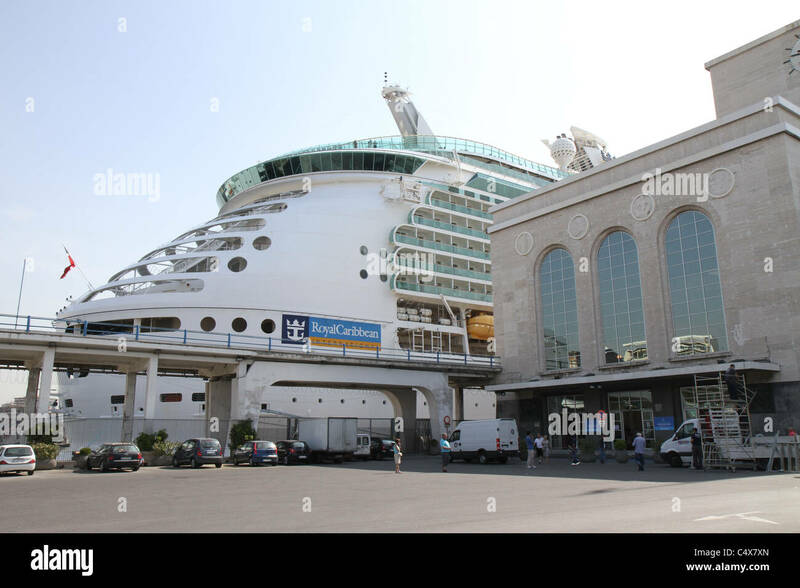 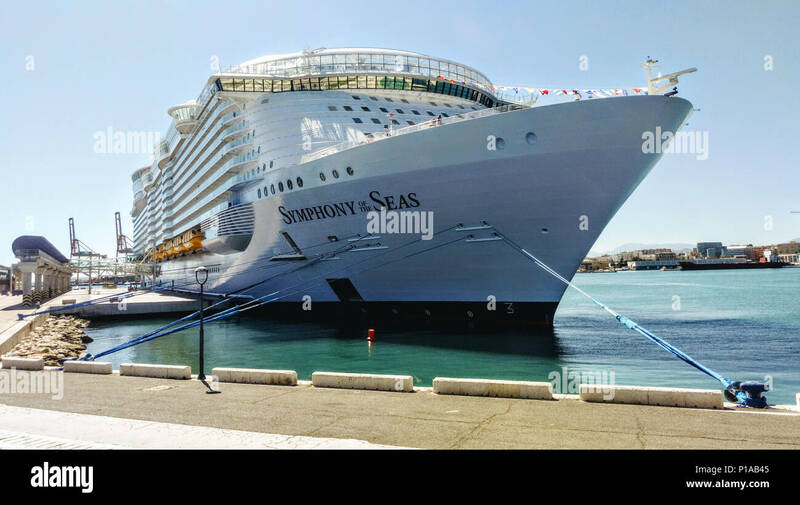 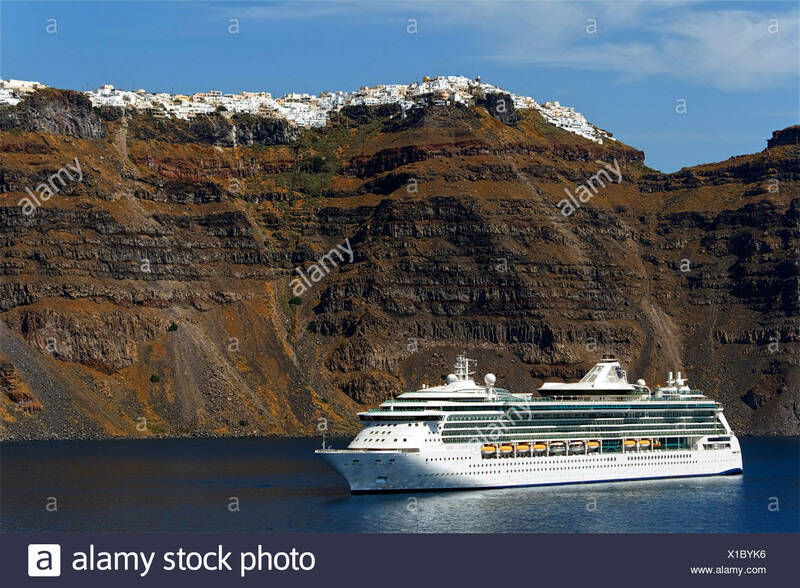 Royal Caribbean's Mariner of the Seas, docked in Naples, Italy. 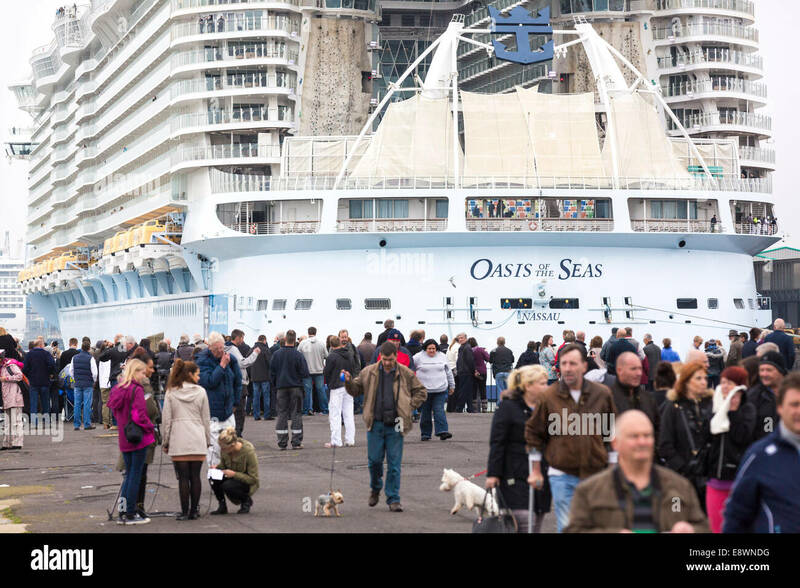 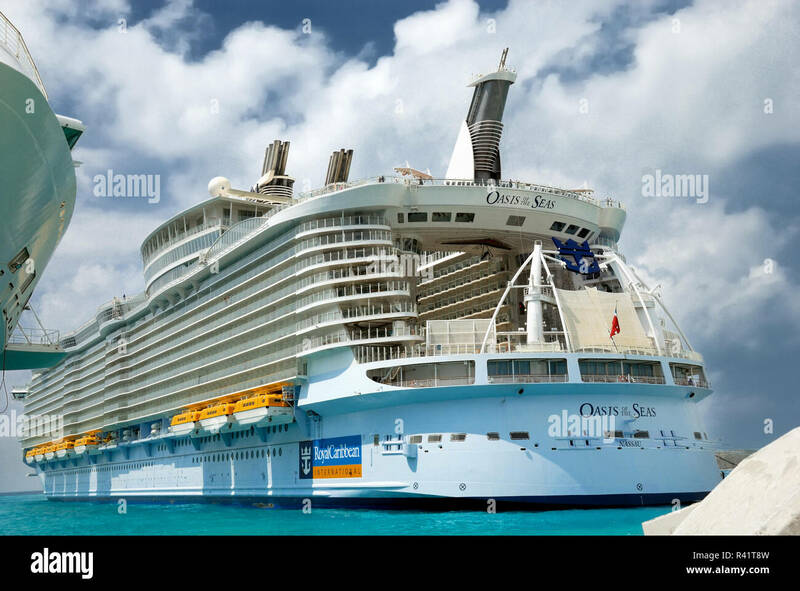 The world's largest cruise ship, Oasis of the Seas arrives in Southampton for a short stopover. 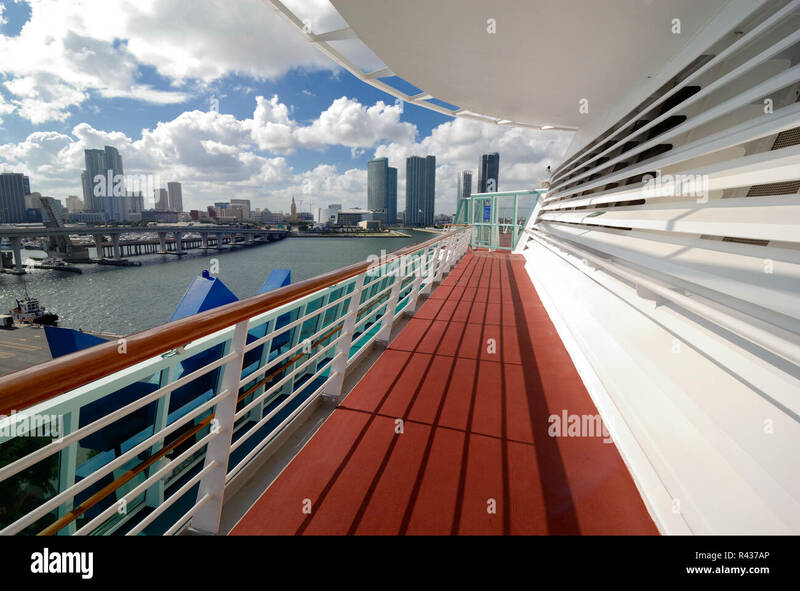 The upper deck area Royal Caribbean Interational's Majesty of the Seas cruise ship, overlooking the port of Miami, Florida. 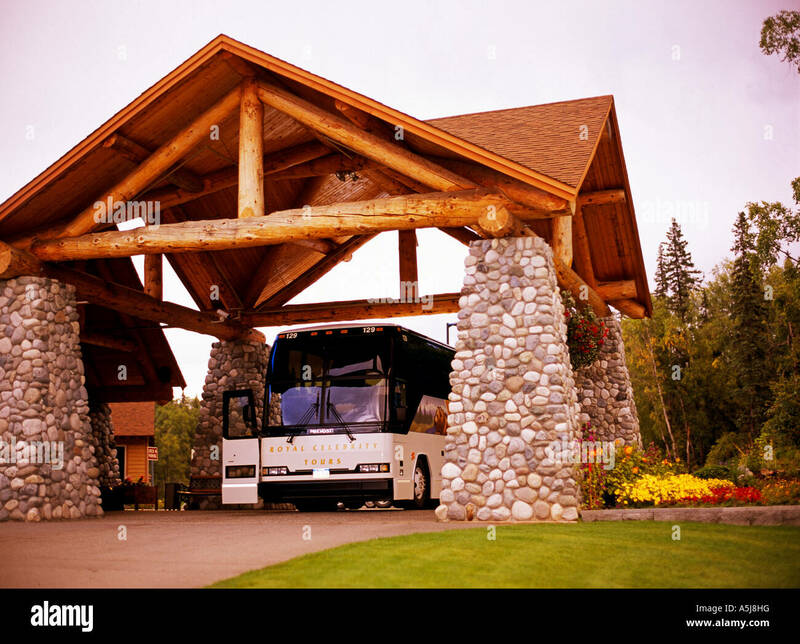 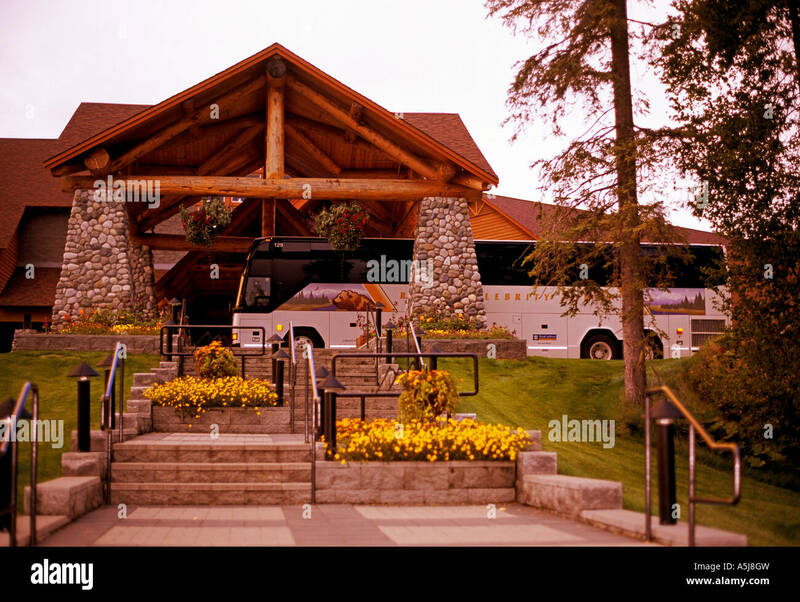 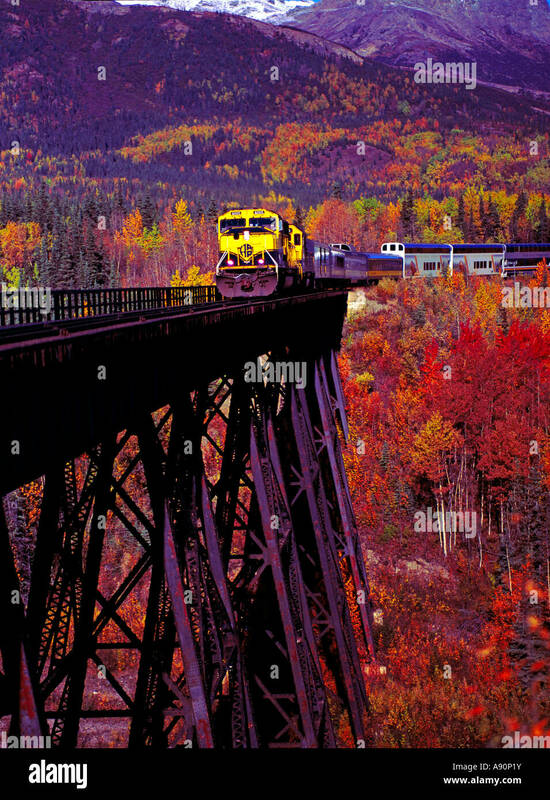 The Alaska Railroad crossing the Park Entrance Bridge at Denali Park. 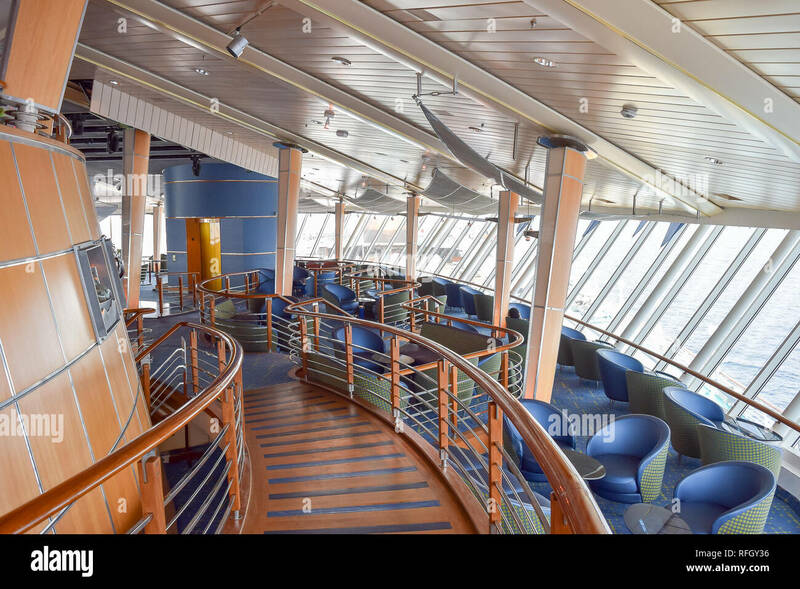 The crow's nest lounge chairs on the upper deck of Royal Caribbean Interational's Majesty of the Seas cruise ship. 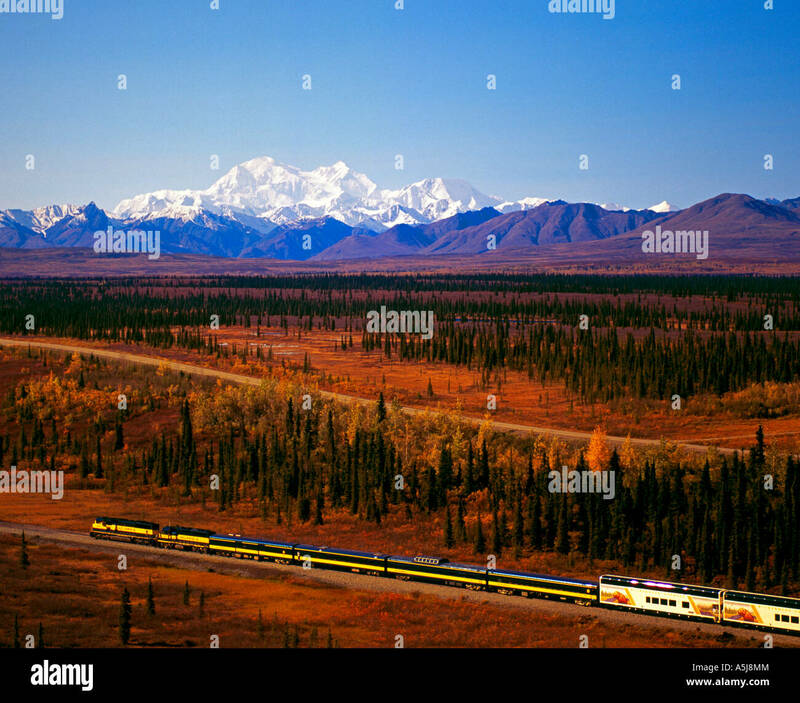 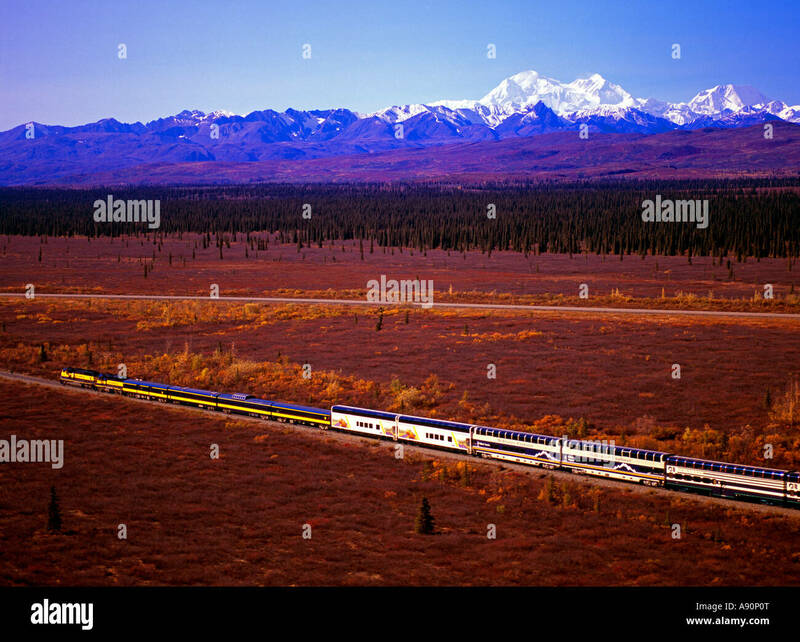 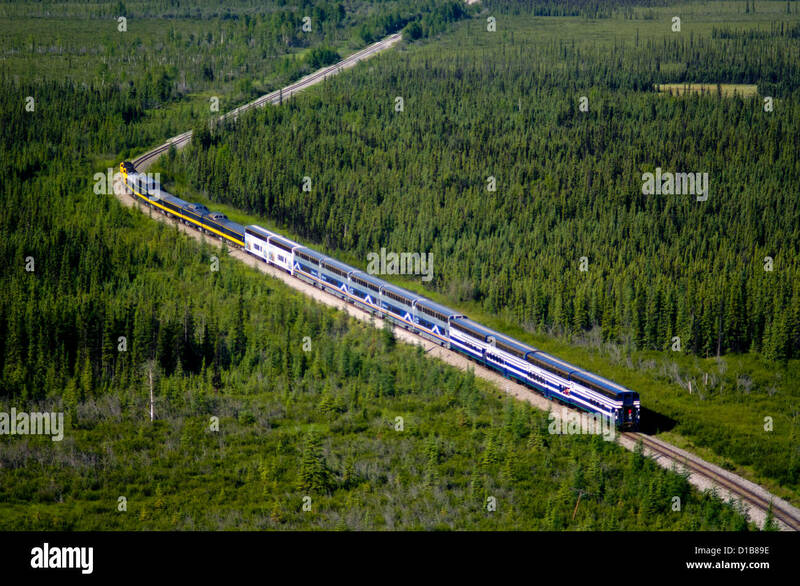 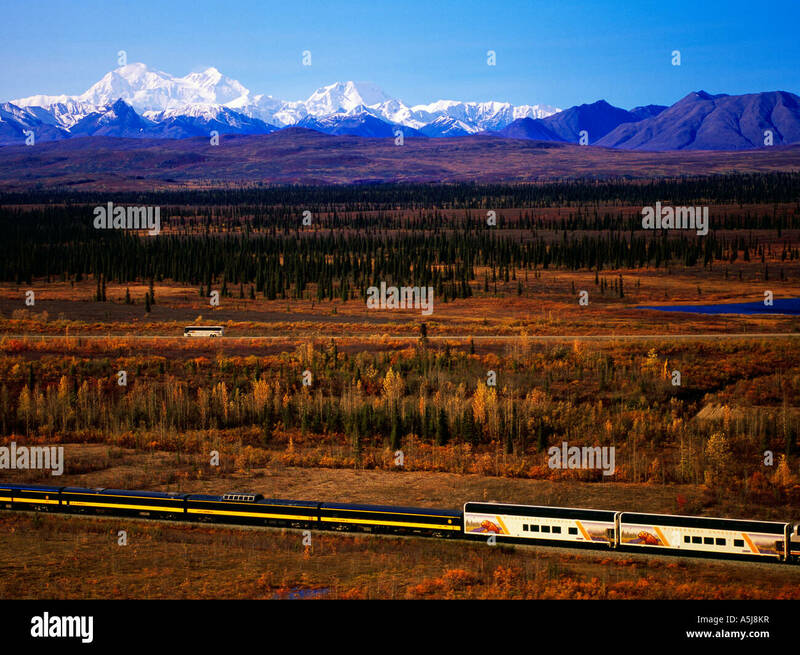 Aerial photo of the Alaska Railroad southbound train from Fairbanks through Denali to Anchorage. 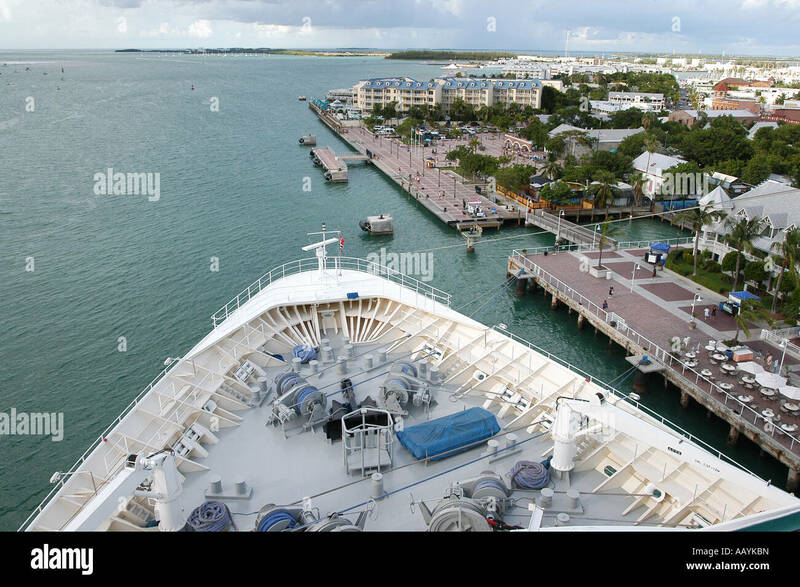 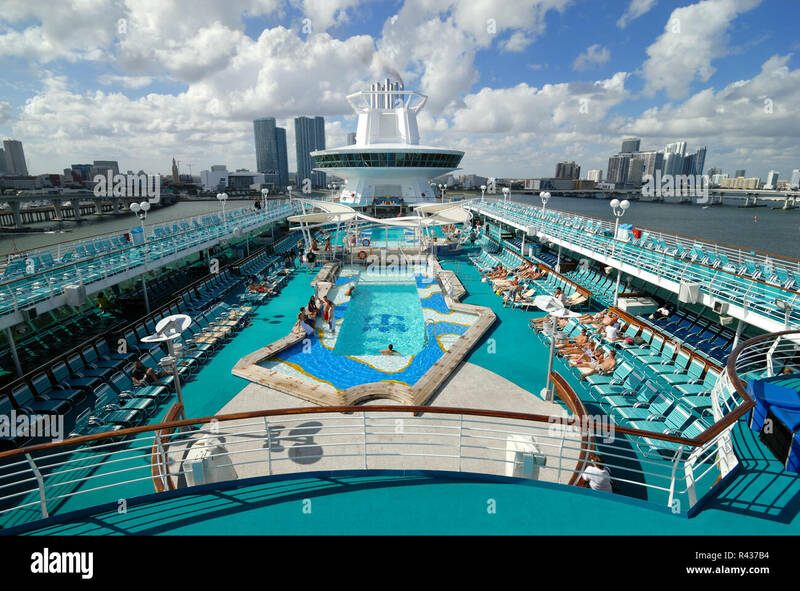 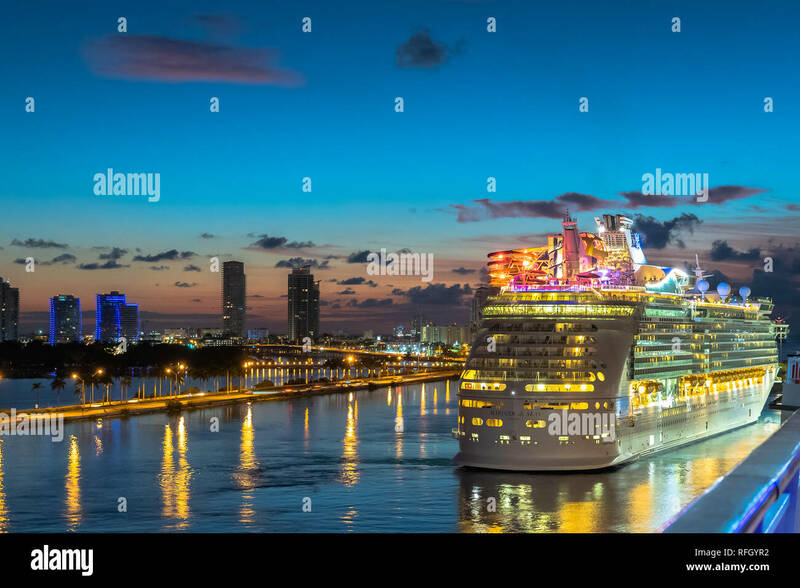 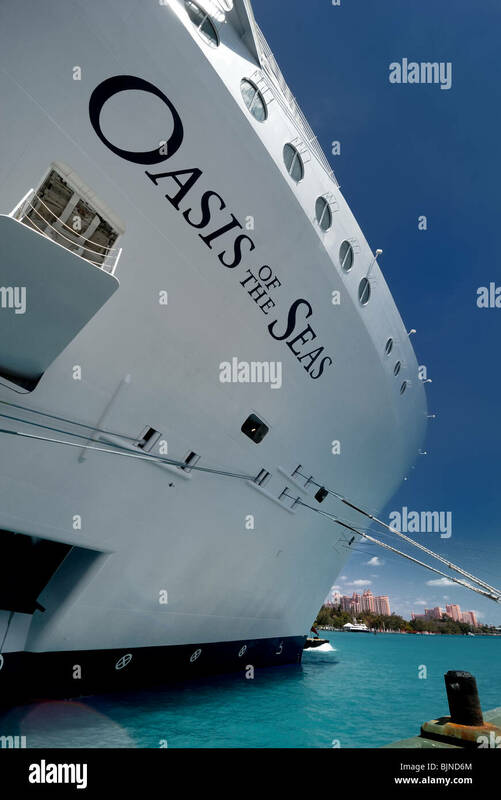 The pool deck on Royal Caribbean Interational's Majesty of the Seas cruise ship, against the Miami, Florida background.